A mother of two is training for the London Marathon and raising money for kidney disease research after she went under the knife two years ago and donated her organ to a complete stranger. 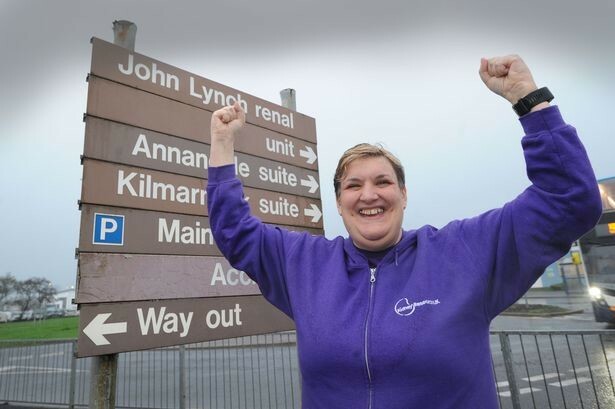 Rachel Cox, 48, a nurse on the renal unit at Crosshouse Hospital in Scotland, said she was moved to help after watching her patients suffer the harsh side effects of dialysis. “A life on hemodialysis is not easy and it’s not really a choice,” she said. “It’s something is every day and I wanted to do something to make at least one person’s life better. You can only give your kidney once." Cox had to undergo a psychological evaluation to ensure that she was donating for the right reasons, and said she wasn’t public about her decision at the time because she didn’t want to pressure any other nurses in her field. 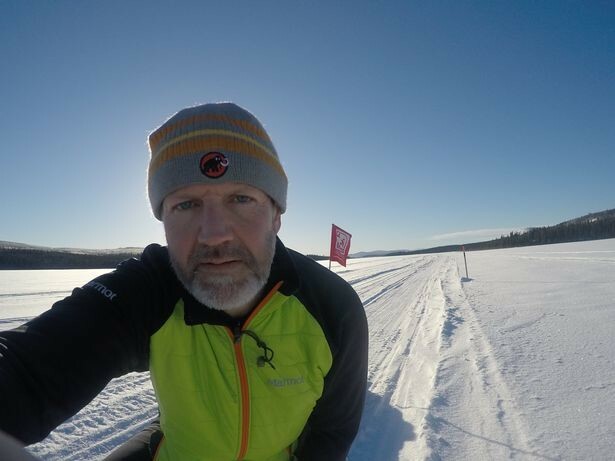 Paul Fosh from Monmouth will have to endure frostbite-threatening minus-30C (-22F) temperatures in the arduous 430-mile Yukon Arctic Ultra race in north west Canada, with just 13 days to finish the trek. 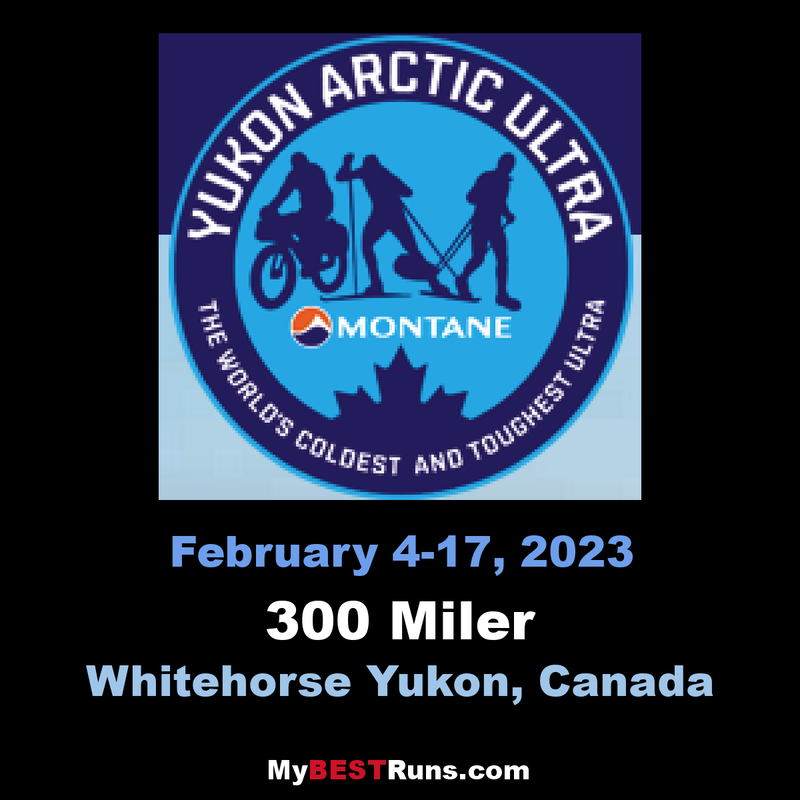 He’s no stranger to the Arctic Circle, having completed two previous races in the Yukon, including the Ultra 300-mile course in 2016, but this will be his longest yet. And tragically, experienced ultra race athlete Roberto Zanda from Italy lost both his lower legs and his lower right arm due to catastrophic frostbite damage sustained during the race. Property auctioneer Paul said: “Over time, you become thrilled to be part of the small percentage that have completed the race. All of the 441 entrants, 41 of them in the 430-mile race, are entirely self-sufficient and carry all their belongings, food, clothes, tent and other equipment on a sled called a pulk. “A lot of people underestimate the mental challenge," says Paul. 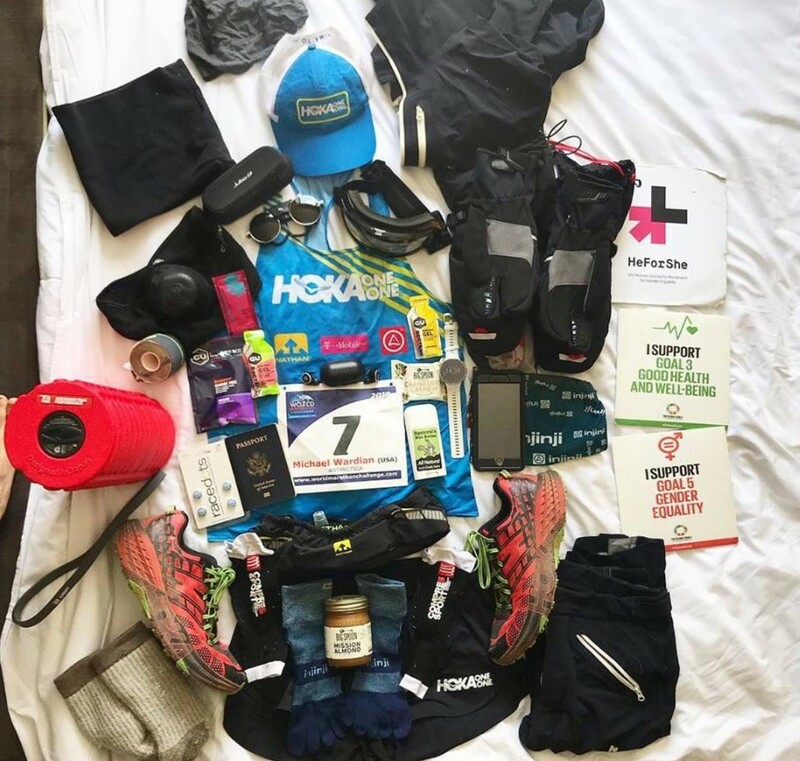 He is aiming to finish within 10 days by averaging around 43 miles a day, and said: “I know my level of fitness is right to achieve this goal, I have been doing a lot of training for this one as it is the most demanding race I’ve ever done. Despite the 13-day time limit on the race, there will be very little time for sleep, which means that competitors will spend a lot of time walking both day and night. 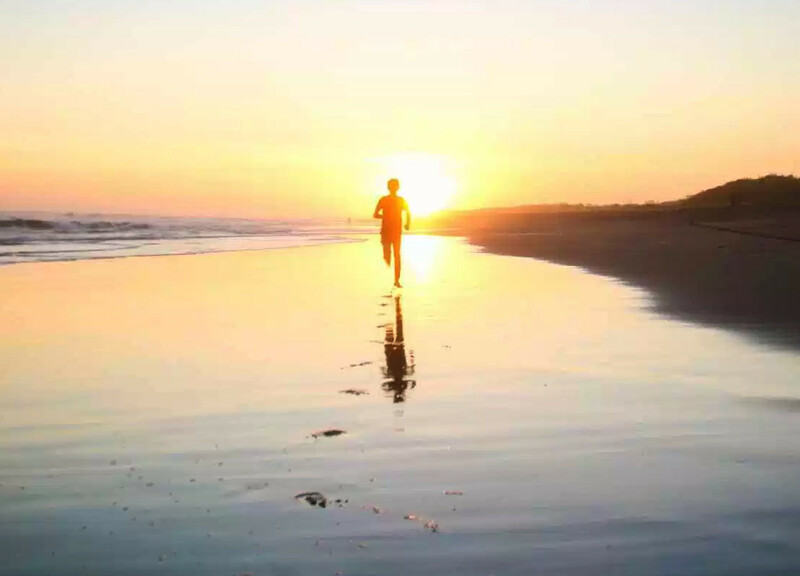 “Walking in the daylight is much easier psychologically because you’ve got such fantastic scenery to look at. “At night, you could be anywhere, you’ve just got your headtorch beam to follow. “One of my biggest challenges is complacency." I feel so unbelievably fortunate to have the opportunity to embark on the World Marathon Challenge again tomorrow. The first stage, is Antarctica. The weather is looking pretty good. I am hoping to push myself beyond anything I have done before so will actually be adding three marathons in DC with Run Pacers at the end for a total of 10 Marathons in 10 days. It is always exciting and a bit scary to start something and I can’t thank everyone enough for all the support. (Two years ago (photo) Michael Wardian set the record for the World Marathon Challenge. He averaged 2:45:57 for each of the seven marathons run on seven continents over seven days. He hopes to better that record. 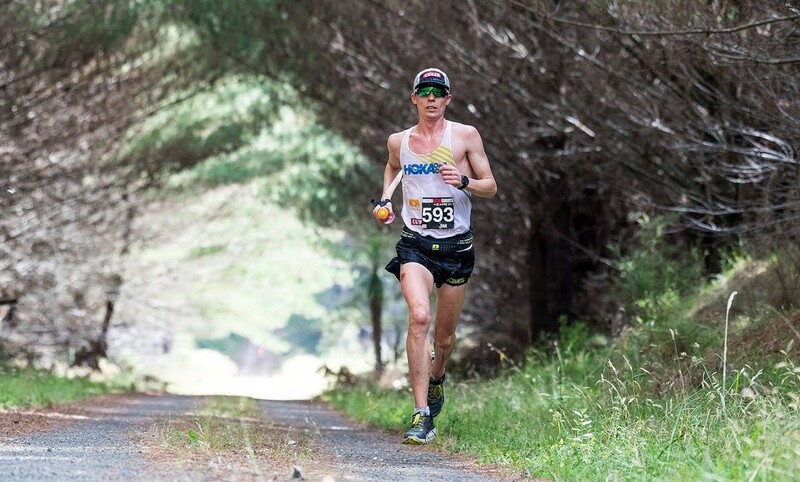 Tyler Butterfield will literally run his way into unknown territory when he makes his debut at the Lake Biwa Mainichi Marathon in Otsu, Shiga, Japan. The Bermuda Olympian and professional triathlete is scheduled to make his first appearance in the 26.2 mile race on March 10 and is under no illusion as to the enormity of the task at hand competing against the world’s elite runners. “That will be an elite marathon so for me it’s my first one ever outside of Commonwealth Games and its going to be a calibre way above my limit,” Butterfield said. 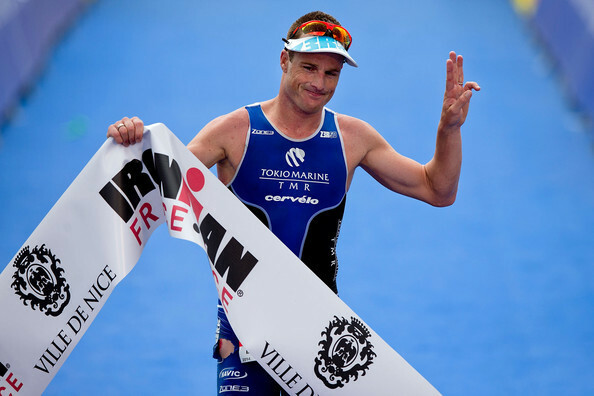 “I think it was won in around 2:06 or 2:07 last year so I’m going to be 15-20 minutes behind. 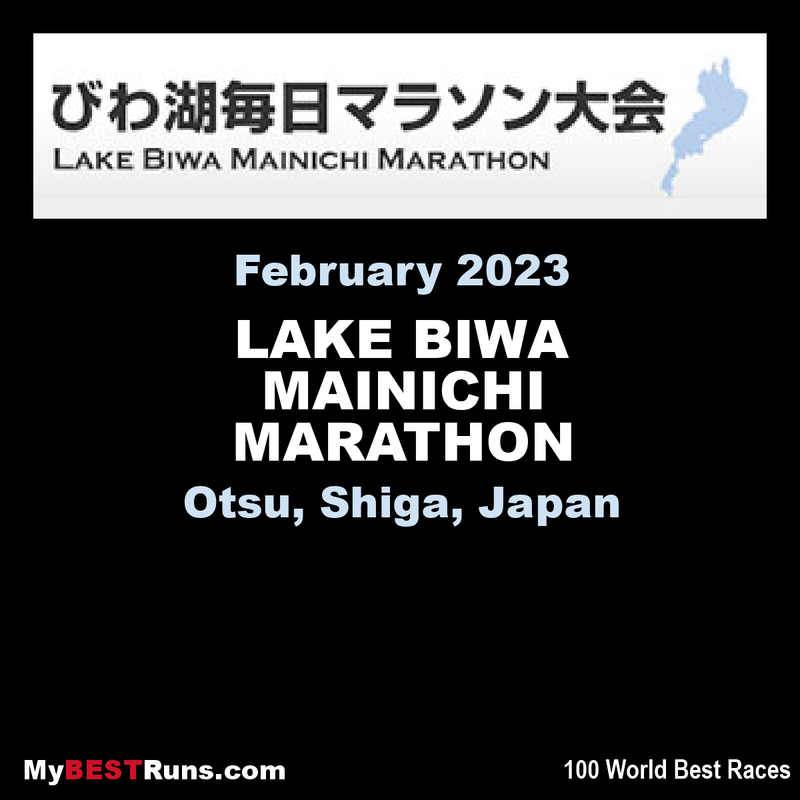 The Lake Biwa Mainichi Marathon, a male only competition, is one of the prominent Japanese races of the year and the country’s oldest annual marathon. 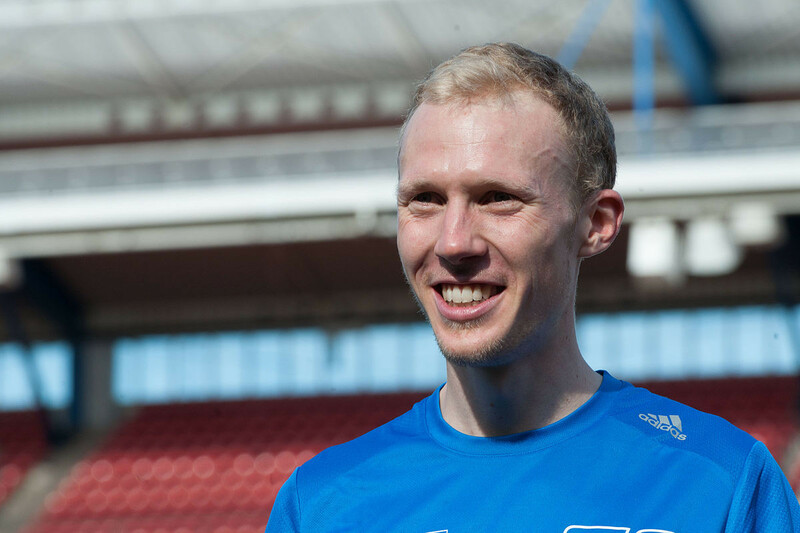 Butterfield warmed up for March’s commitment in Japan with a solid display at last weekend’s Bermuda Marathon Weekend where he placed runner up in the adult mile, International 10K and Half Marathon to capture the Half Triangle Challenge title at the first attempt. “The Bermuda Race Weekend was awesome and just a great hit out for the Lake Biwa Marathon,” he said. “It was great to come back and do the mile, 10K and the Half because I’ve actually never done that before. 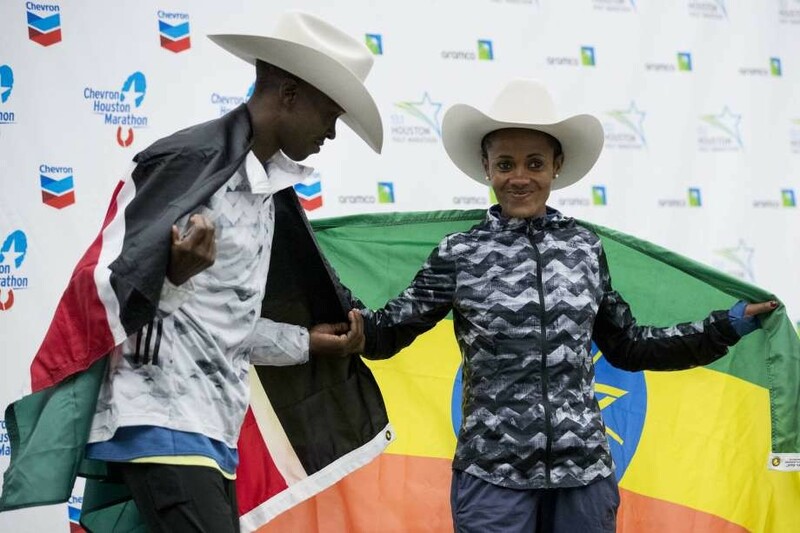 Roza Dereje Bekele from Ethiopia announced her participation in the Barcelona Half Marathon, which will be held in Barcelona on February 10, with the aim of breaking the world record. The current record is held by the Kenyan Joyciline Jepkosgei, with a time of 1:04:51, achieved in Valencia on October 22, 2017. 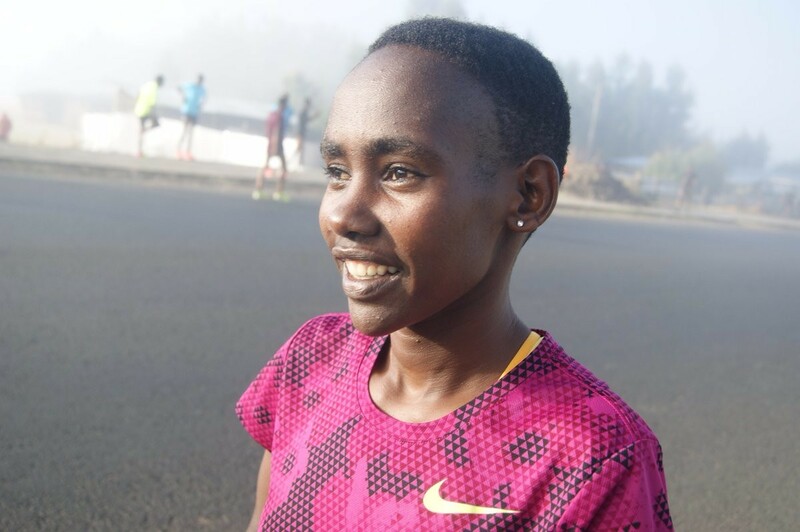 The young Ethiopian runner, only 21 years old, has run 1:07:00, achieved April 2018 in Istanbul. She had surprised most everyone clocking 2:19:17 for the marathon in Dubai on January 26, 2018. 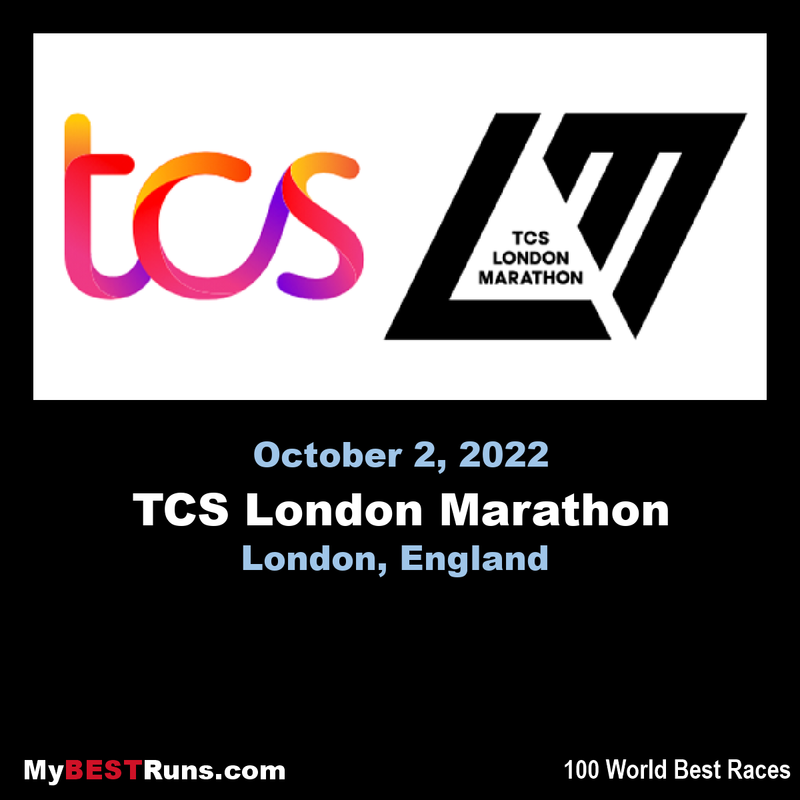 The Ethiopian runner who is training very well has decided to try to beat the half marathon world record and then run the Marathon in London. 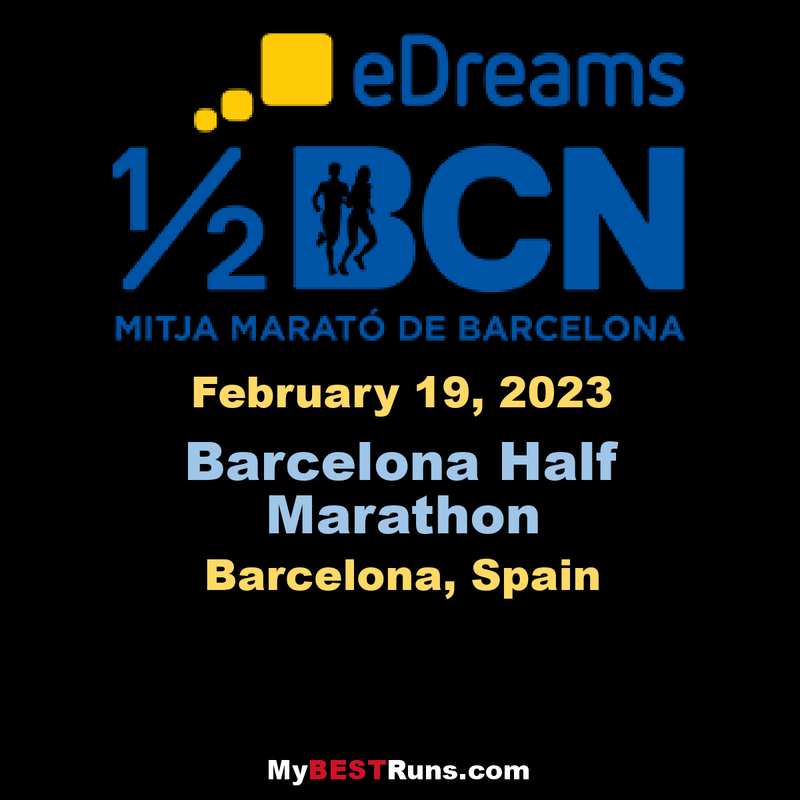 "I have chosen Barcelona because it is one of the fastest races in the world and has an excellent organization," Bekele explained through a statement from the organizers of the Barcelona event. Virgin became the main sponsor in 2010 and has already extended its sponsorship once. In 2015 it announced it would support the event for five years. 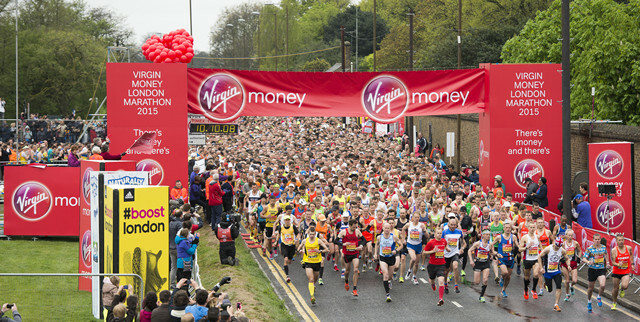 The Virgin Money London Marathon is the UK’s biggest fundraising event, raising a record £63.7m ($83,306, 860US) for charities in 2018. This year the charity of the year is Dementia Revolution, a campaign specially created for the 2019 Marathon by Alzheimer’s Society and Alzheimer’s Research UK to support the UK Dementia Research Institute. Next year’s partner will be Mencap. 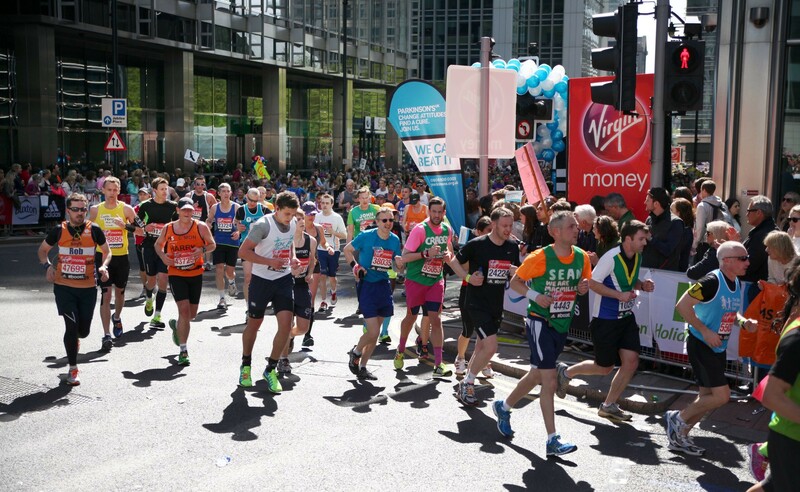 David Duffy, chief executive of CYBG Plc, the owner of Virgin Money, said: “Each year Virgin Money partners with a ‘Charity of the Year’, and we are now ready to receive applications for the year leading to the 2021 Marathon. The signature event at the NYRR Millrose Games will feature seven Olympians and 13 world championship participants, including the recent addition to the men’s field of Ethiopia’s two-time indoor world champion Yomif Kejelcha. The prestigious indoor mile race has taken place every year on the men’s side since 1926 and on the women’s side since 1976. This year’s NYRR Wanamaker Mile races will be broadcast live on NBC. Quigley, 26, won her first NYRR Wanamaker Mile in 2018, besting fellow U.S. Olympian Kate Grace by just three hundredths of a second in 4:30.05, and then returned to New York later in the year to finish second at the New Balance 5th Avenue Mile. She competed at the Rio 2016 Olympics, finishing eighth in the 3000-meter steeplechase, and the following summer she placed third in the event at the USATF Championships. “What better way to start a new year and a new season than taking a trip to NYC to race at one of the most prestigious and longest-running indoor track meets in the country,” Quigley said. Joining Quigley in the women’s NYRR Wanamaker Mile field will be last year’s runner-up, U.S. Olympian Kate Grace, along with 2017 NCAA indoor mile champion Karisa Nelson, 2018 USA Road Mile champion Emily Lipari, and new indoor NCAA 1000-meter record-holder Danae Rivers. Kejelcha, the two-time defending 3000-meter indoor world champion who opened his 2019 season with a 3:52.61 mile at the University of Washington earlier this month, will join a men’s field that already includes Olympic medalists Clayton Murphy and Nick Willis, and last year’s world’s fastest miler Edward Cheserek. Last year’s runner-up, Josh Kerr, will also line up, as well as U.S. Olympian Robby Andrews, who will be marking the 10th anniversary of his win in the high school mile at the Millrose Games. 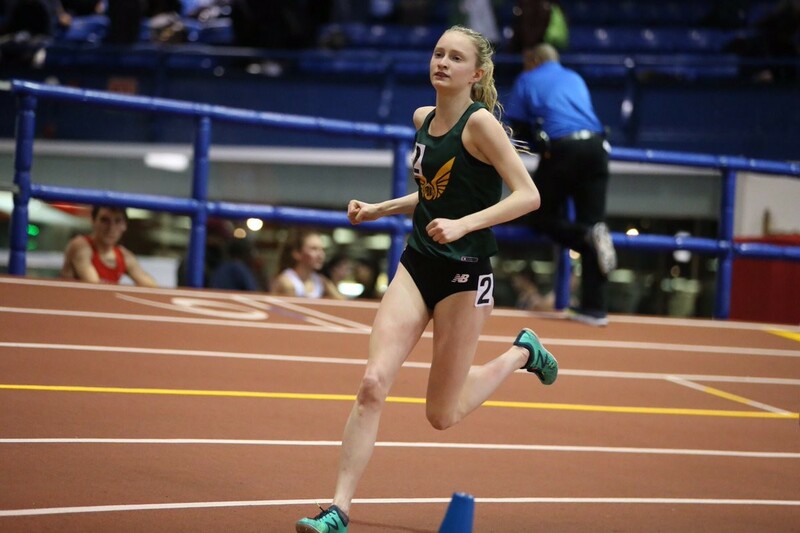 Katelyn Tuohy added to her long list of impressive high school accomplishments by breaking Mary Cain’s high school 3,000m record on Saturday at the Dr. Sander Invitational in New York City. Tuohy ran in her first professional field, taking down several pro and collegiate-level women to finish third in 9:01.81. Cain’s former record was held at 9:04.51. On Instagram, Tuohy admitted she was just shy of her goal of sub-9:00, but that she “had a great time getting my feet wet and seeing what it’s like racing the big dogs! Today was a learning experience and I am so thankful for having this opportunity.” Brooks runner Amanda Eccleston took the win in 8:56.68, followed by Heather Kampf in 8:56.87. Canadian Danielle Jossinet of Guelph finished in a new personal best and U Sports second-place ranking of 9:19.93. Cain achieved huge stardom as a high schooler for breaking many records and qualifying for the 2013 World Championships at only 17. 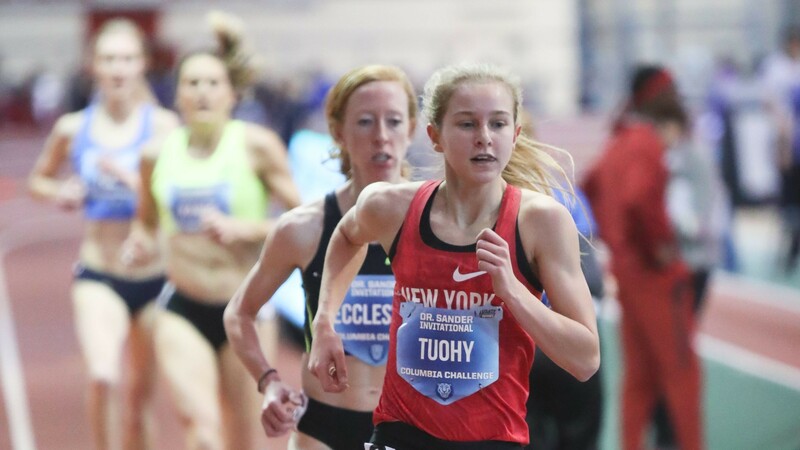 Tuohy has also broken countless course records, and in the fall she became only the second woman to win two consecutive Nike Cross Nationals titles. Ezekiel Kipsang is one for one in marathons. 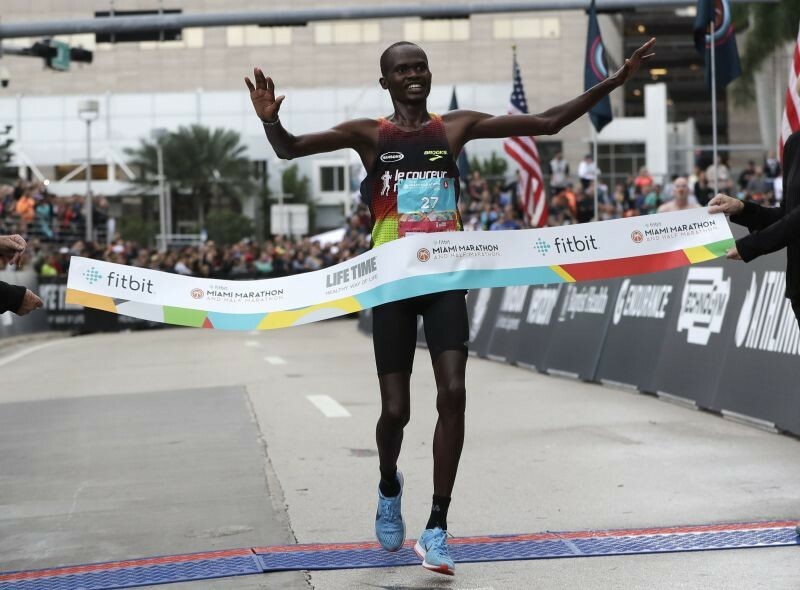 The 22-year-old Kenyan, who lives in Ottawa, Ontario, won the Miami Marathon, running the distance for the first time Sunday. He finished in 2 hours, 16 minutes, 34 seconds to beat runner-up Jacob Chemtai of Kenya by nearly 2½ minutes. Kate Landau of Tacoma, Washington, overcame leg cramps and nausea to win the women's race with a time of 2:37:45. Mary Akor of Hawthorne, California, was a distant second in 2:45:55. 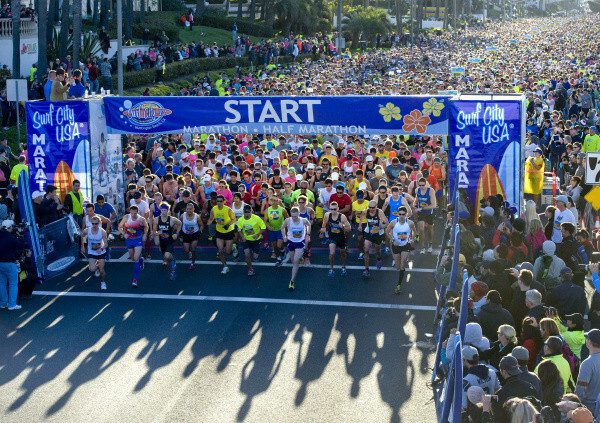 More than 20,000 participants in the marathon and half-marathon ran in humid, windy weather. Surging away from Rei Ohara after 38 kilometers, Fatuma Sado won the 38th Osaka International Women’s Marathon, an IAAF Gold Label road race, on Sunday clocking 2:25:39. Rei Ohara of Japan was second, seven seconds behind the winner, with Bornes Jepkirui another 15 seconds behind in third. The pacemakers did an admirable job, bringing the lead pack through five kilometers in 17:00, 10 kilometres in 33:59, and 15 in 51:02. At 15 kilometers, the lead pack consisted of three pacemakers, an Ethiopian trio of Sado, Asefa Sutume and Abebech Afework, Kenyans Jepkirui and Jeptoo and Japanese Ohara, Fukushi and Hatsuki Omori. Between kilometers 17 and 20, Jeptoo, Afework and Omori lost contact with the leaders. By half way, the lead dwindled to the pacemakers, Jepkirui, Sado, Fukushi and Ohara. After 25 kilometers, the pace started to slow, but Fukushi began to drift back anyway. At 30 kilometers, the final pacemaker dropped out and Ohara surged ahead, followed by Sado and Jepkirui. 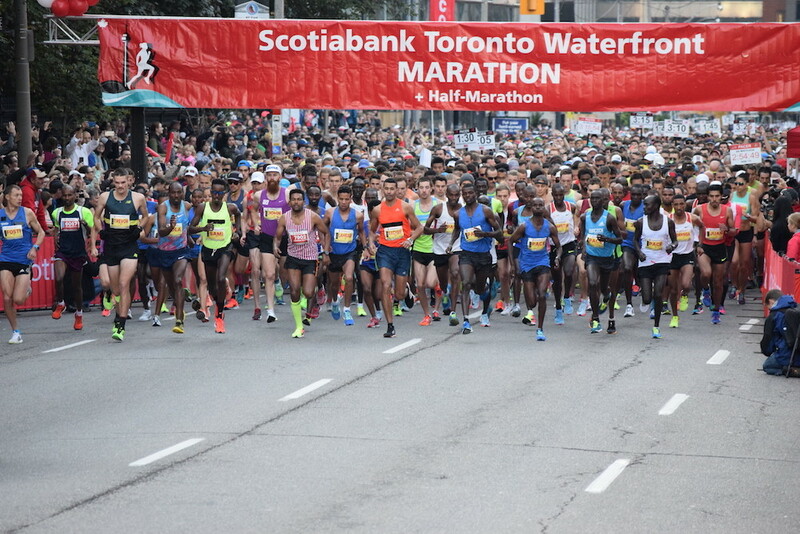 Athletics Canada announced that the Scotiabank Toronto Waterfront Marathon will serve as an automatic qualifier for the 2020 Olympic Canadian marathon team. The first Canadian man and woman across the line, provided that they have met Athletics Canada’s standard in the event, will be named to the Olympic team. While Olympic standard hasn’t been released yet, the 2019 world championship standard is 2:37 for women and 2:16 for men. This will be a huge draw for elite Canadian runners, and make the race within the race very interesting. 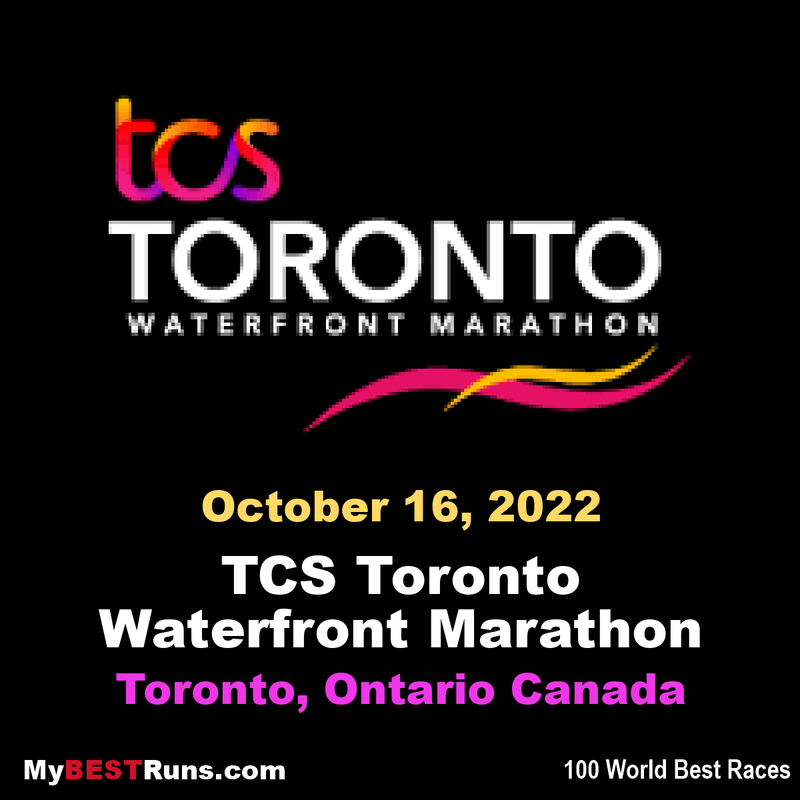 The only potential issue is that the world championship marathon is only days apart from STWM, and therefore impossible for a runner to compete in both events. Canadian marathoner Reid Coolsaet discussed the drawbacks and exciting aspects of this decision. Also, someone like Cam Levins, who should easily qualify for Tokyo may want to race Worlds in Doha (both STWM and Doha are in October). What would prepare Cam better for the Tokyo Olympics? 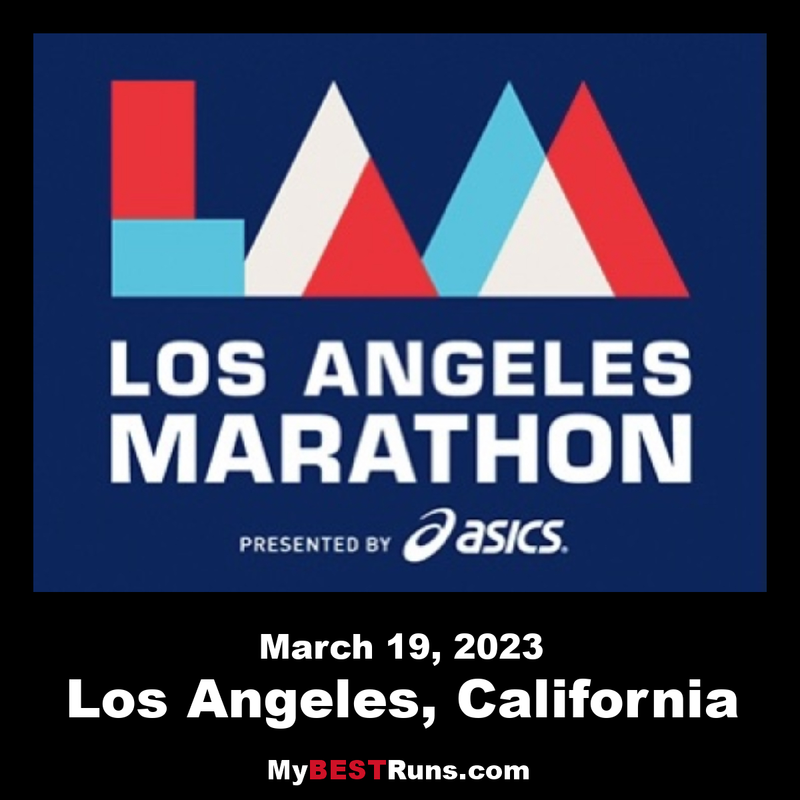 Another paced marathon in cool temps (he’s running London this April) or, running a championship race in hot conditions? 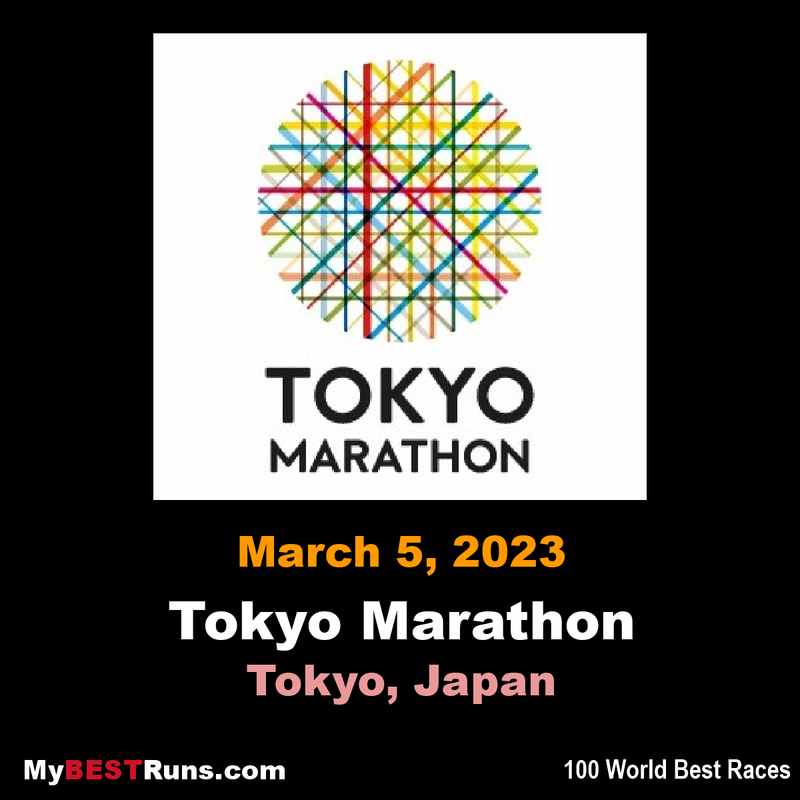 (Tokyo is forecasted to be very hot) Otherwise Tokyo will be his first championship marathon and probably his first hot marathon. Coolsaet jokes that he’s simply trying to convince Levins to run Doha. The past three Olympic marathon teams have been named based on time alone, taking the fastest of the runners who achieved Athletics Canada’s named standard. Creating one auto-qualifier position means that a runner who hasn’t necessarily run the fastest time, or maybe even in the top five best times, could win and make an Olympic team because they raced well on that given day. But maybe this is okay? 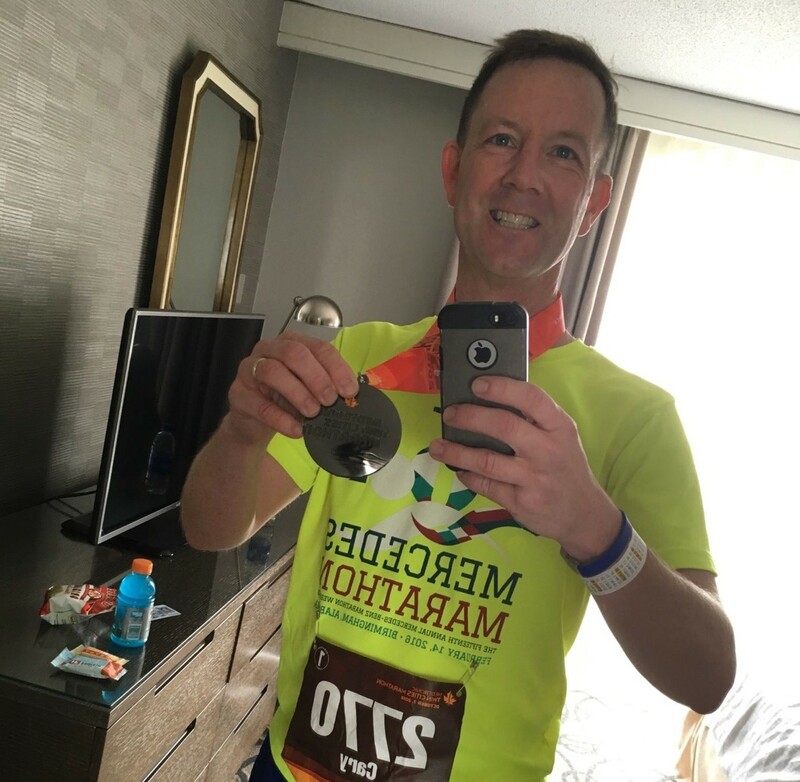 After his 40th birthday, Cary Guffey woke up in the middle of the night with a new goal: to complete a marathon. There was only one problem. “I was not a runner,” he thought. Despite starting with no experience, Guffey was motivated and trained for a year. He and a friend ran the Disney Marathon in January 2013. “It was fantastic. I mean, Disney does it so well, and they keep you distracted,” Guffey said. 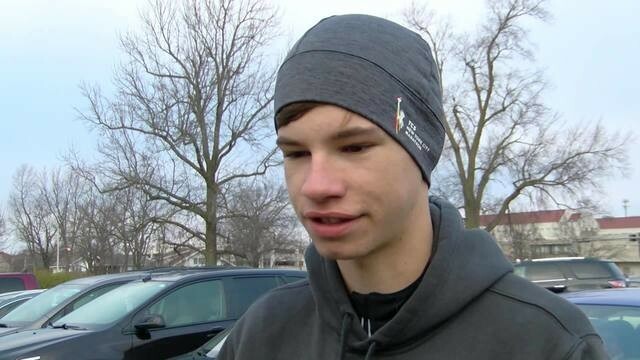 On the way home from Disney World, Guffey said his friend asked him what was next and decided to sign them both up for the Mercedes-Benz Marathon in February. “So I ran my first and second marathons within 30 days of each other,” Guffey said. 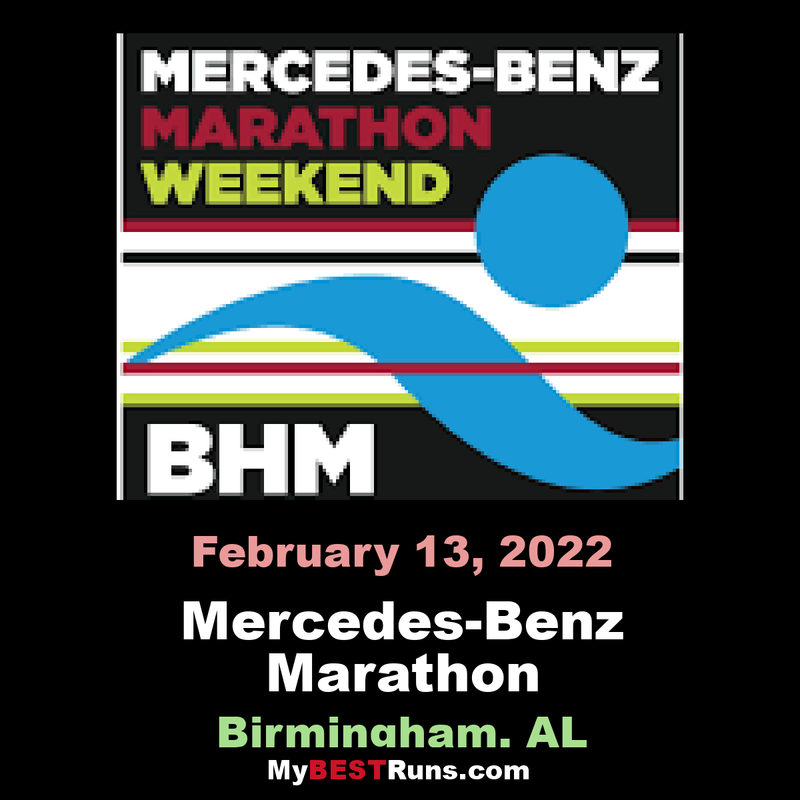 He now has 33 marathons in 23 states under his belt, and on Feb. 10, Guffey will compete in the Mercedes-Benz Marathon for the seventh time. It’s a race he participates in every year. “Mercedes is so well organized and there’s so much crowd support, that I was distracted on that course as well. The city really comes out to support that race,” Guffey said. Dickson Chumba, who also won the Tokyo Marathon in 2014, has a life time best of 2:04:32 having finished inside 2:05 in both of his Tokyo victories. He also finished third at the 2015, 2016 and 2017 editions of the race. He faces a stellar line-up that includes multiple world and Olympic champion Kenenisa Bekele. Bekele set a national record of 2:03:03 when winning the 2016 Berlin Marathon but he has struggled in some of his races since then. He failed to finish in Dubai in 2017 but rebounded to finish second in London in 2:05:57 three months later. He then withdrew from the Berlin Marathon later the same year before returning to action at the 2018 London Marathon, where he finished sixth in 2:08:53,. He recorded another ‘DNF’ at the Amsterdam Marathon in October 2018. Bekele’s last race in Japan was at the 2007 IAAF World Championships in Osaka, where he won the 10,000m—one of his six global titles at the distance. He is one of five men in the field with PBs faster than 2:05. Fellow Ethiopian Birhanu Legesse ran 2:04:15 in Dubai on his debut at the distance last year and will contest his third career marathon in Tokyo. Bahrain’s Asian record-holder El Hassan El Abbassi and Ethiopia’s Seifu Tura, both of whom recorded their sub-2:05 lifetime bests last year, are also in the mix. Most of the local fans, however, will be focused on Suguru Osako, who broke the Japanese record when finishing third at the Chicago Marathon last year in 2:05:50. Two sets of pacemakers are planned for the men’s race. 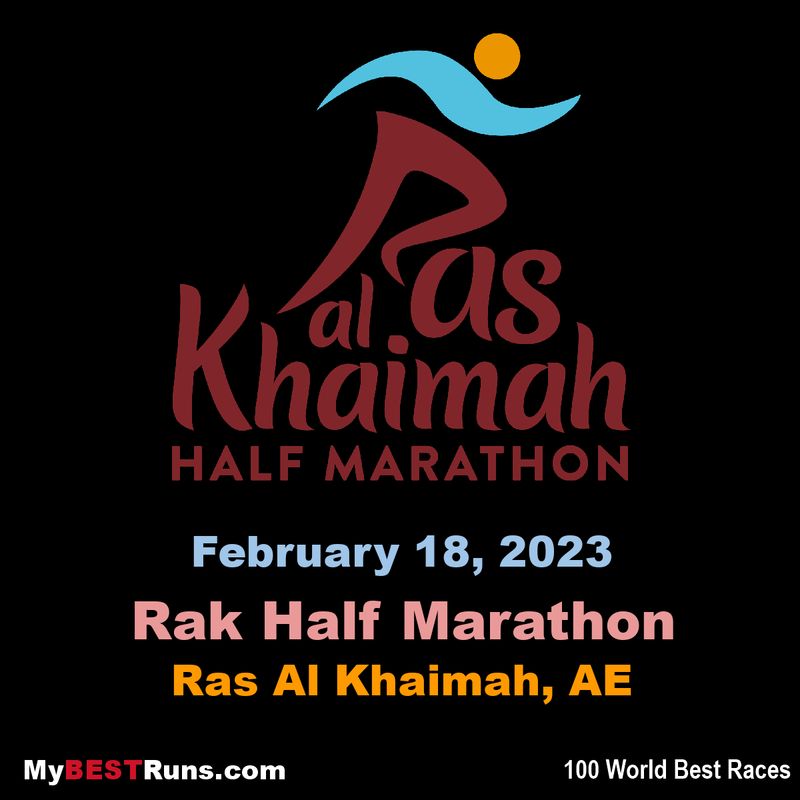 The first set will aim for 2:57-2:58/km pace until 30km, targeting a finishing time in the region of 2:04:30 to 2:05:10. The second set will run at 3:00/km pace with a target finishing time of about 2:06:35. 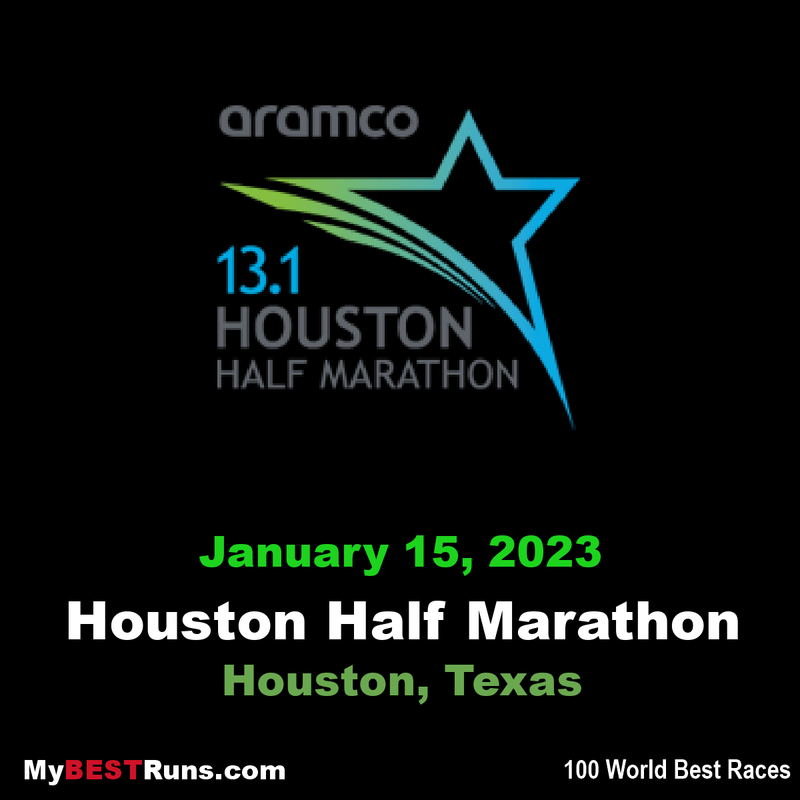 Jim Walmsley ran a 1:04:00 in the Houston Half-Marathon last Sunday (January 20). Many people have been critical of his race and returned to comparing the trail and road running scenes in a futile attempt to try and identify which discipline is more difficult. Walmsley is an ultra and trail runner who’s the Western States 100 course record holder, and was formerly a high school and collegiate track runner (8:41.05 3,000m steeplechaser). Walmsley was ranked 23rd male on Sports Illustrated’s Fittest 50 athletes in 2018 (marathon world record-holder Eliud Kipchoge ranked 21st) and is very well known for his accomplishments on the trails. His 1:04:00 at Houston qualified him for the 2020 U.S. Olympic Marathon trials where he will run his marathon debut. As Walsmley straddles the boundary between ultra-trail runner and road runner, he’s become a focal point for the trail versus road argument. 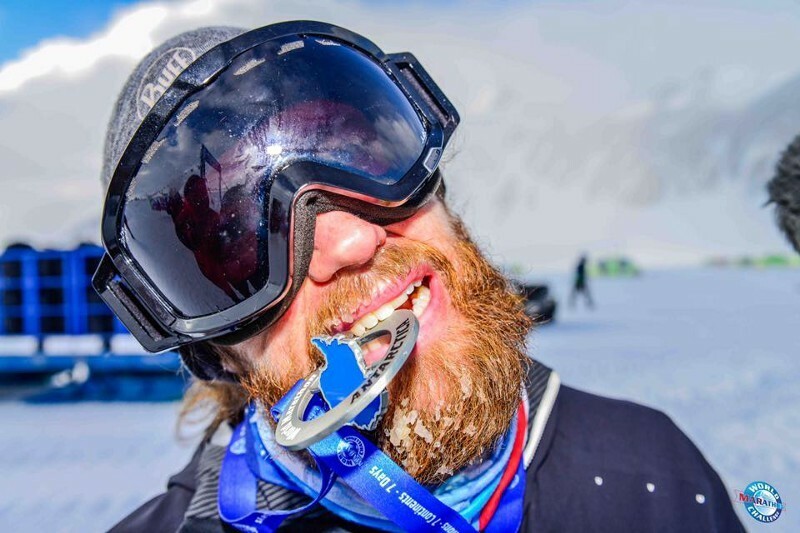 Walmsley was a guest on the Citius Mag podcast the week following his half-marathon and was asked to address some of the comments. Here’s what he had to say regarding a 2:05 marathoner being thrown into the Western States Endurance Run. Chepkirui will return to Osaka after she posted a slow time back in 2015 when she was placed in position 14, clocking 2:41:47. She has since evolved and will be the athlete to beat having improved her best time to 2:24:19 from her Prague victory. "It is a crucial year to me because we have the World Championships. 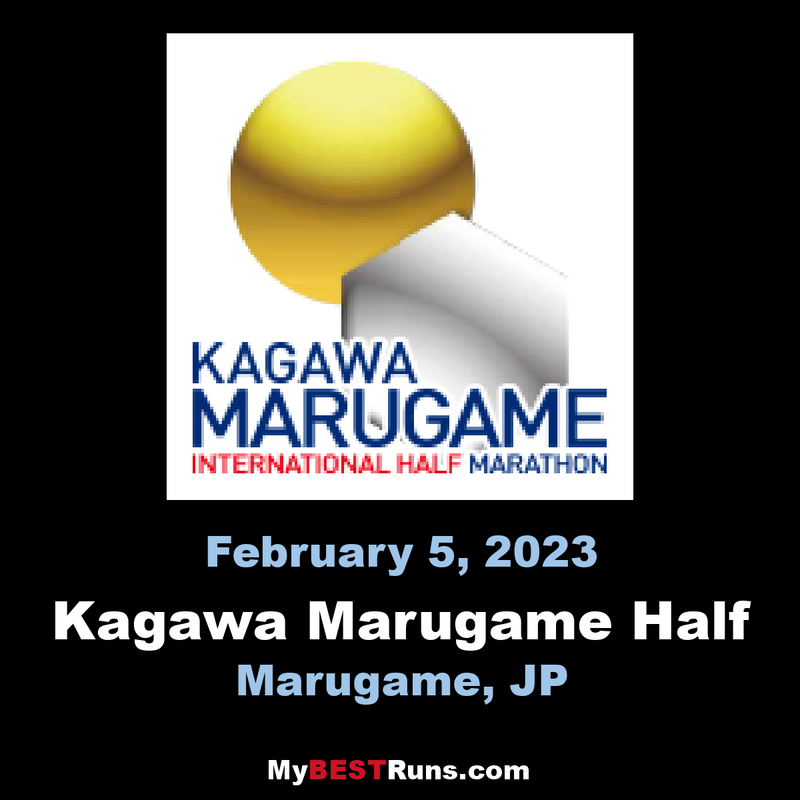 I will run in Osaka and probable defend my title in Prague in May. But the target is to get to the Kenya team and compete at the Doha World Championships in Qatar in October," said Chepkirui. 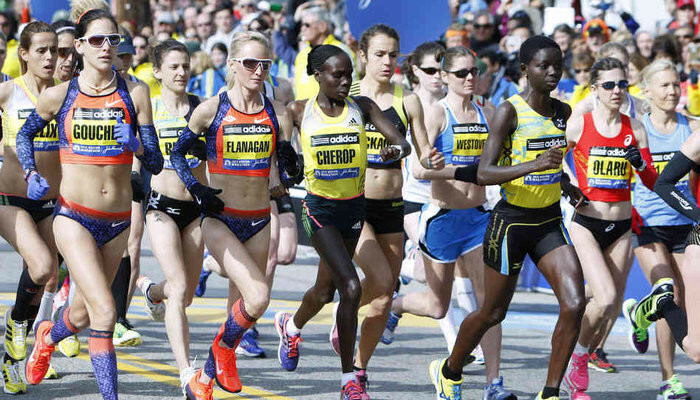 Kenya's Eunice Jeptoo will also be back in the run after failing to finish this race in last year's contest. The 36-year-old took more than six minutes off her best time to win the recent Eindhoven Marathon in 2:26:13. However, the two Kenyans should not expect a walk in the park. 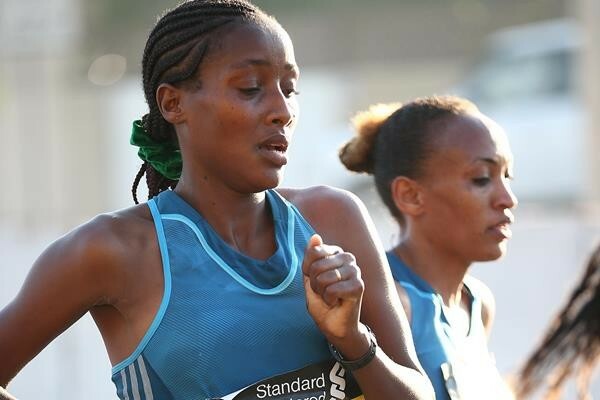 They will be up against Ethiopian Sutume Asefa Kebede, who has the best recent time among the internationals in the field with a 2:24:00 in Dubai 2016. Three other Africans are positioned at the 2:26 to 2:27 level, perfect to help pace the Japanese women along to marathon qualification marks. Japan are using the race as part of its trials and qualifier for the 2020 Olympic Games. Absent are last year's debut winner Mizuki Matsuda but there will be the 2016 winner Kayoko Fukushi, who will be running her first marathon since the Rio Olympics. There is also the duo of Tomomi Tanaka and Rei Ohara, who went head-to-end until the final meters of the 2016 Nagoya Women's Marathon. Ohara is already in for trials for Japan's Olympic team while China will have HE Yinli, who holds a fast time of 2:30:26 from the 2017 race in Wuxi. British runner Jo Pavey is targeting a record-equalling sixth Olympic Games next year, when she will be 46. That would match javelin thrower Tessa Sanderson's six Olympic appearances by a British track and field athlete. 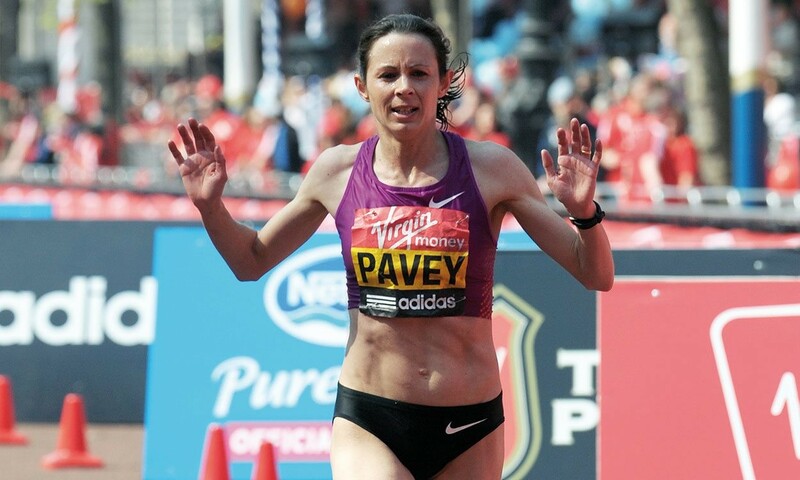 Pavey was the oldest woman to win a European Championships gold when claiming the 10,000m title in 2014 aged 40, just 11 months after giving birth. "I forget how old I am. I'm not complacent but I will attempt to make my sixth Olympics," she told BBC Sport. Pavey made her first Olympic appearance at Sydney in 2000, has qualified for the British team at every Games since, and now wants to earn a place on the British team for Tokyo 2020. "I need to get a good qualifying time this year, and really want to start racing in early spring, but I enjoy the challenge," she said. "It's a difficult task, I'm totally aware of that, but something that's fun to try. I love the ups and downs of the journey." The mother-of-two hopes to win a place in the 10,000m at the 2019 World Championships in Doha in September en route to going for the Games in Japan. 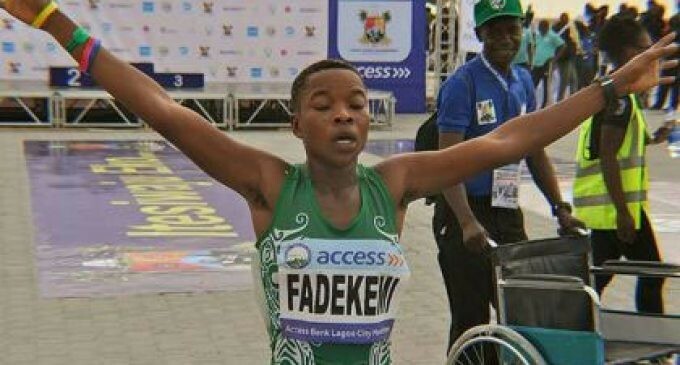 She entered the 2017 London Marathon with a view to qualifying for the marathon at that year's World Championships in London but had to drop out at 16 miles and then saw her bid to qualify at 10,000m ended by injury. In 2018, she finished third at the Vitality London 10,000 behind fellow Briton Steph Twell. The month of February is noted for hearts and flowers and candy, and in San Miguel, for Hornets. 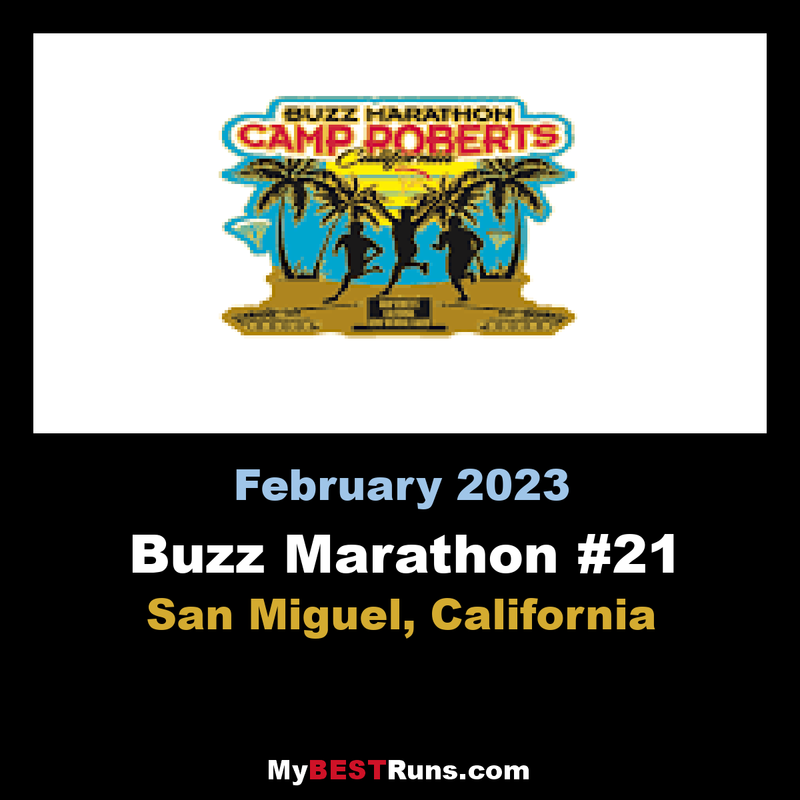 The 19th annual Buzz Marathon will be held this year on February 16 on the beautiful course running through Camp Roberts. Due to some construction the course has been redesigned. 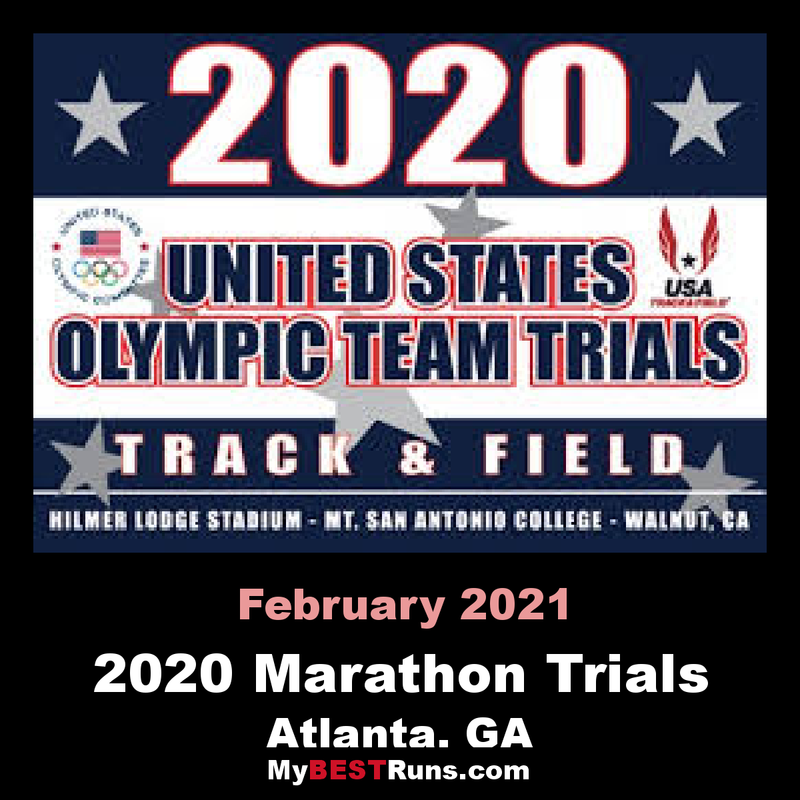 With help from Paul DiMatteo it has been recalibrated and recertified by USA Track and Field to maintain entrants’ eligibility for other races like the Boston Marathon. The Buzz Marathon began in 2000 as a way to raise funds for sports programs at Lillian Larsen School in San Miguel, California. Eighth grade teacher and Athletic Director Eileen Rogers had personally funded an athletics program for some fifteen years. In brainstorming ways to find an independent way to help the program become self-sustaining, the marathon seemed ideal. It started slowly but with much encouragement it grew. Since the Lillian Larsen Mascot is a Hornet, it was named the ‘Buzz Marathon’ and Eileen was dubbed the ‘Hornet Queen’, an appellation of which she is justly proud. Year by year it became better and better until achieving its present status. Although retired from teaching at San Miguel, Eileen keeps very busy, still greatly involved with sports. She firmly believes in exercising both mind and body. The course runs through San Miguel from the school to the Mission and back. This success story certainly shows how one person with a good idea, determination and contagious enthusiasm can make a big difference! Furloughed U.S. government employees can receive free entry to participate in the Surf City Marathon and Half Marathon. 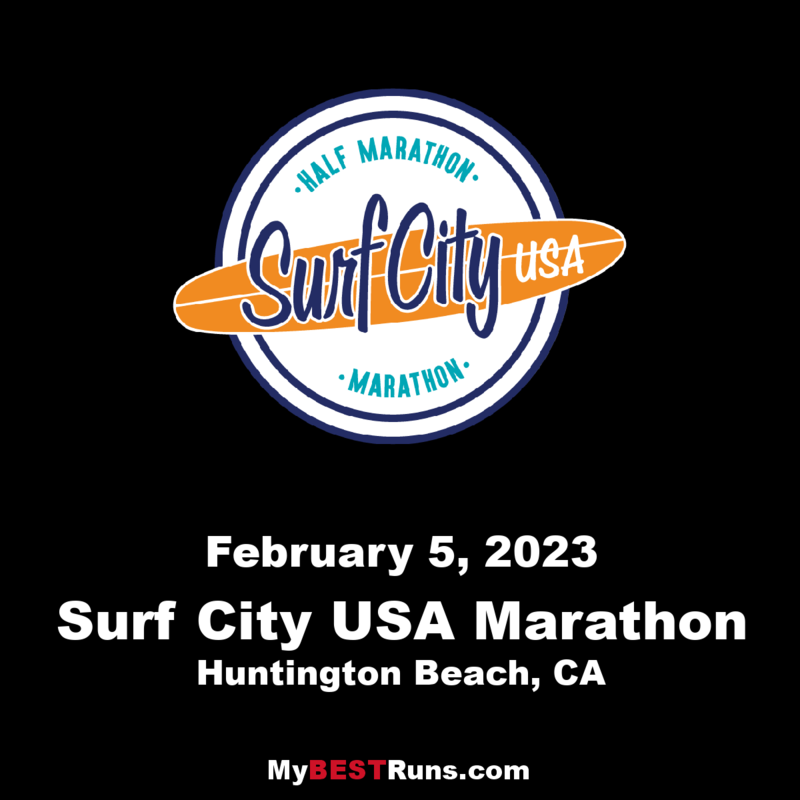 Featuring a scenic course that showcases the Huntington Beach oceanfront, the event annually attracts 17,000 runners and will take place the weekend of February 1-3, 2019. “Our heart goes out to those government employees affected by this now 34-day government shutdown and what better time to get out and run,” said Tiffany Adams, event manager. To take advantage of this offer, all such employees must register on-site at the event’s expo on Friday, February 1 or Saturday, February 2 and present their valid government I.D. and proof of furlough at the expo to receive an official race bib. 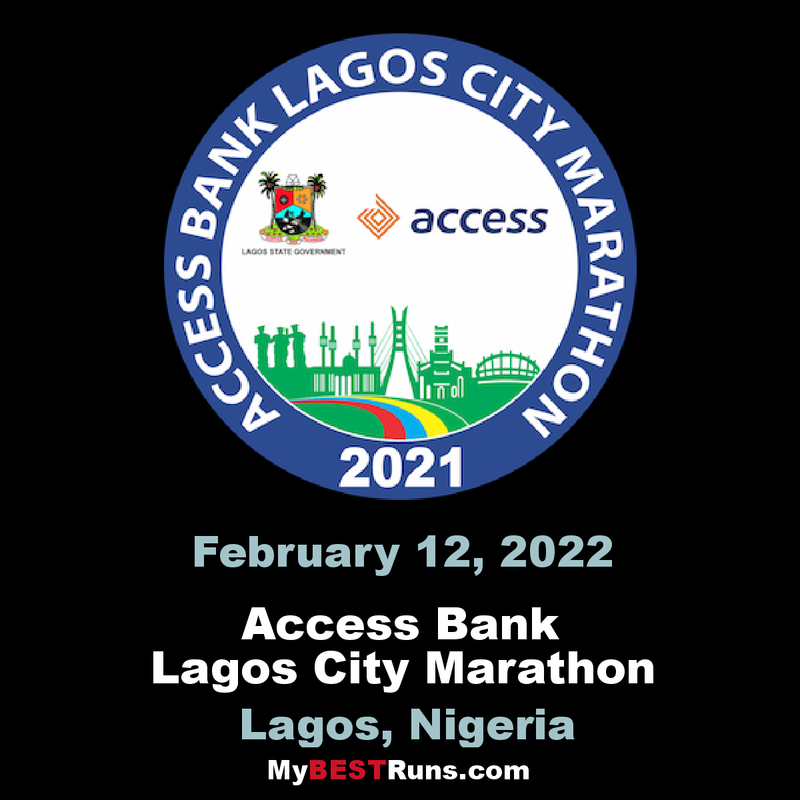 The offer is only applicable to furloughed employees who have not yet registered for the race and entries will be limited based on availability. New in 2019, event weekend will feature a one mile race on the beach. 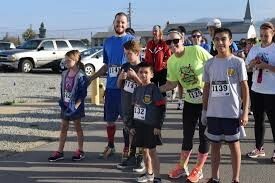 Dubbed as the “Cowabunga Challenge,” the mile on the sand will take place on Saturday, February 2. 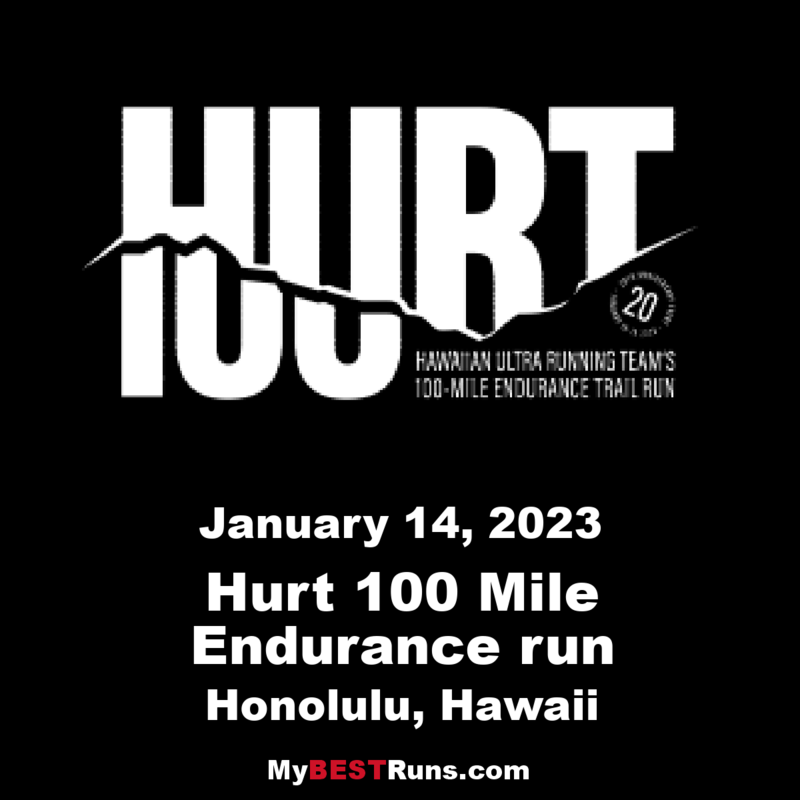 January 19 and 20 marked the 19th year of HURT (Hawaii Ultra Running Team) 100 miler in Oahu, Hawaii. Located in a mountainous tropical rainforest, the course includes five 20-mile (32K) loops with 7,468 metres of elevation gain, and a cutoff of 36 hours. The 99 per cent singletrack consists of 20 stream crossings, exposed ridges, roots, rocks, puddles and mud wallows. Rainfall on race day meant slippery conditions, falls, broken bones, and some DNFs. 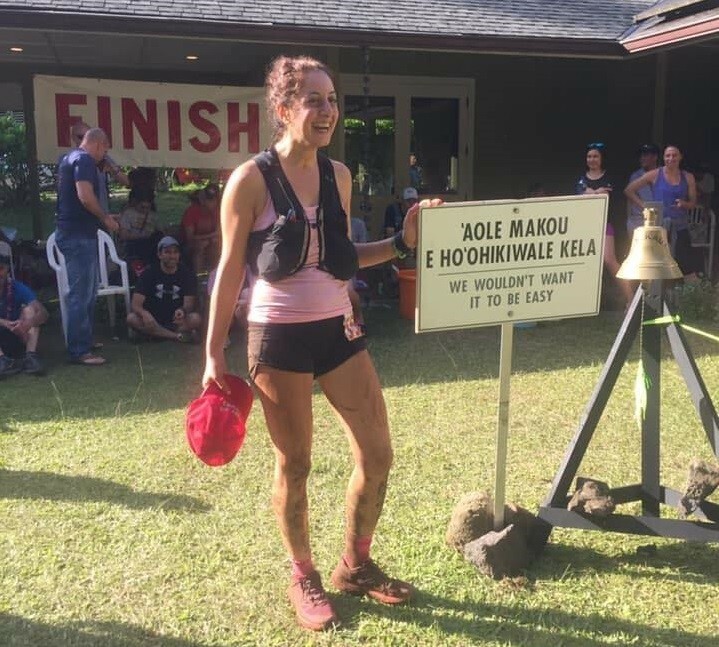 Seven Canadians started HURT 100, and three finished. First Canadian finisher Pargol Lakhan finished top 10 female in 34:02:23. HURT 100 is considered one of North America’s toughest 100-milers. Picture a scene from Jurassic Park–except the dinosaurs are muddy and hungry ultrarunners. Canadians Simon Garneau (Que. ), Derek Anaquod(Sask. ), Karen Johansen (Alta. ), Lourdes Gutierrez-Kellam (Alta. ), Craig Slagel (B.C. ), Lori Herron (B.C. ), and Pargol Lakhan (B.C.) toed the line. Due to the weather, injuries, and unanticipated complications, only Gutierrez-Kellam, Anaquod, and Lakhan finished. Lakhan traveled from Vancouver, B.C. to Hawaii without a support crew. After a series of serendipitous Facebook conversations, she lucked out with pacers and a crew she had never met. From the 6 a.m. start line through to the finish, Dennis Källerteg and his parents supported Lakhan. In just over 32 hours of racing, these strangers became her friends. Källerteg, a 22-year-old from Sweden, had raced HURT 100 in 2018, but dropped out prior to the 2019 start line. The family ultrarunning vacation became a crewing adventure instead. 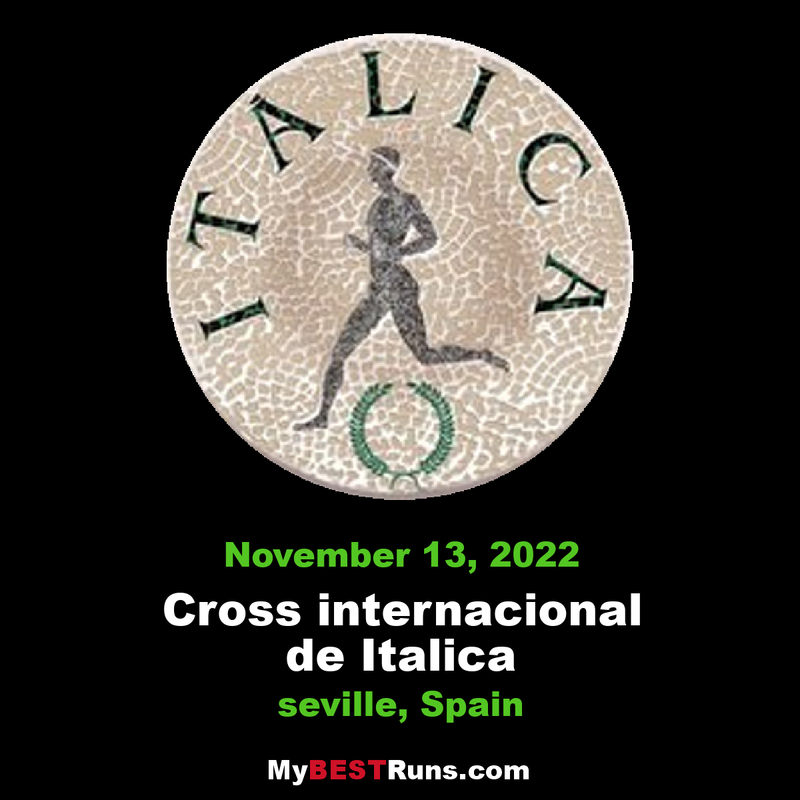 "I ran a minute, walked a minute, Ran, Walked, Ran, Walked, For 30 minutes, says Joan Chrissos. 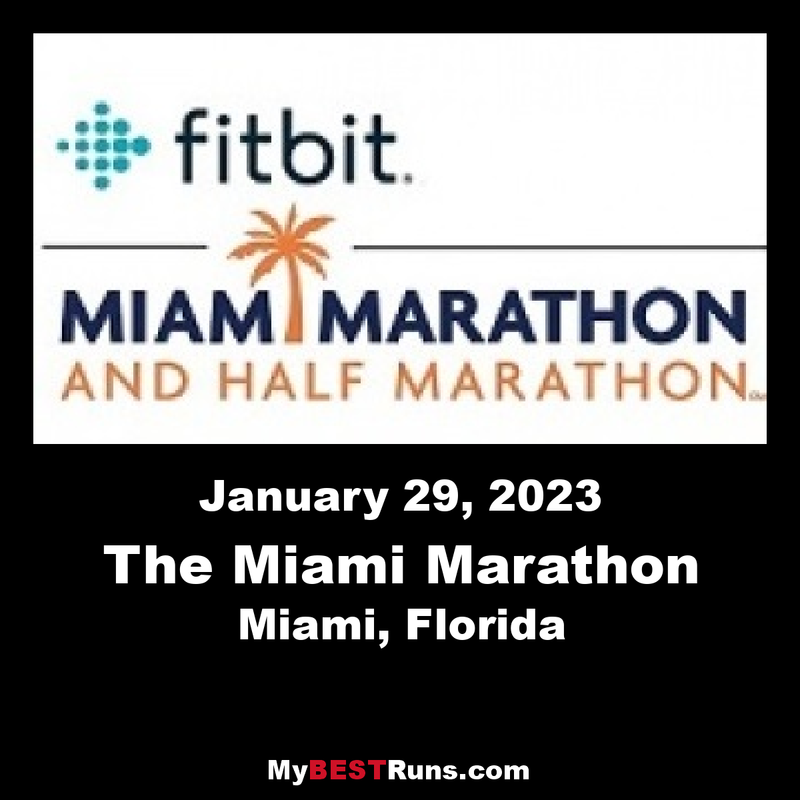 "That was my first day of training for the Miami Half Marathon five years ago. I can still remember my fear, my dread. "I was 58 and hadn’t run since my senior year of high school when I was one of eight girls on the boys’ track team. It was not that I loved running, but rather I was making a political statement at age 17. "Fast forward to that October morning and my first training session with TeamFootWorks, the nonprofit running program of FootWorks, the family-owned store in South Miami that will begin its 46th year on May 15. TeamFootWorks has trained thousands of people to run a marathon, a half marathon or a 5K, people like me, who never thought they could master such a feat." Joan has already run 10 half marathons so far. "I’ve run in Halloween costumes (OK, a Halloween shirt). I’ve run in 40-degree weather. I’ve run in rain (Ugh!). And I’ve chugged up and down the hills of Nashville, which are beautiful but killer on the last mile. 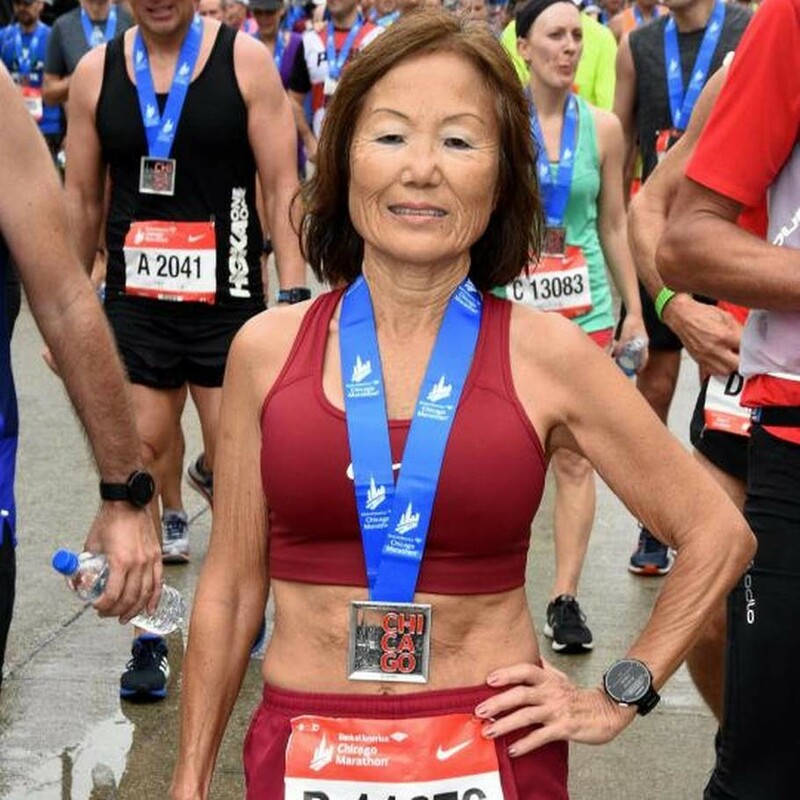 "Along the way, I’ve lost weight, gained muscle, eaten healthier, slept better, gotten closer to my husband Ken (who is running the full marathon on Sunday) and learned to break down complex challenges to manageable tasks, literally one step at a time. "Most importantly, I’ve gained a rich circle of friends. We have sweated side by side, yelling “We’ve got this!” as we make our way past each mile post. We’ve laughed. We’ve cried. We’ve celebrated the birth of children, and mourned the death of loved ones. "And every Saturday, after our runs, we treat ourselves to breakfast, dissecting our performance and the latest in our lives over eggs, grits and café con leche." 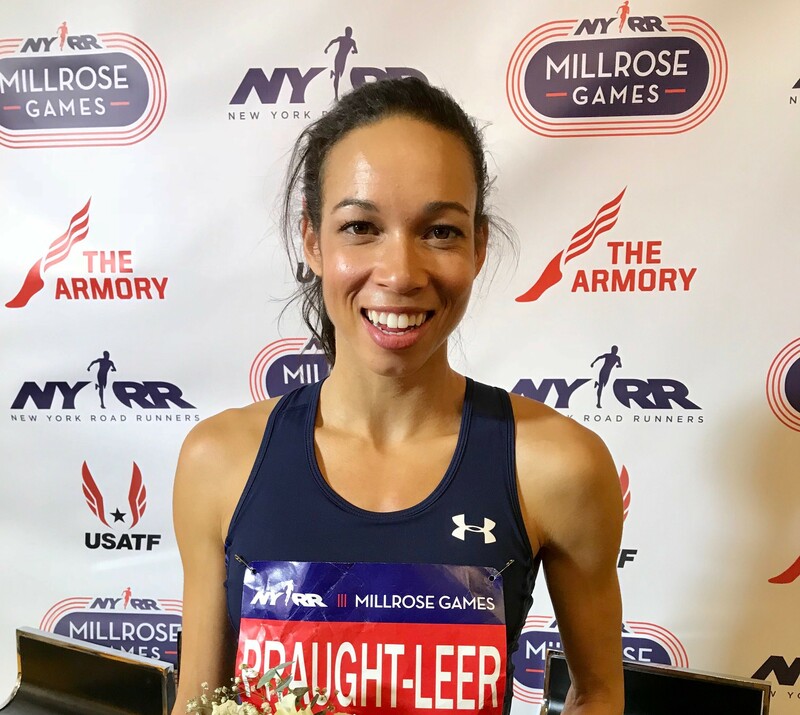 U.S. Olympian Colleen Quigley will return to The Armory’s New Balance Track & Field Center on Saturday, February 9 to defend her NYRR Wanamaker Mile title at the NYRR Millrose Games. The signature event at the NYRR Millrose Games will feature seven Olympians and 13 world championship participants, including the recent addition to the men’s field of Ethiopia’s two-time indoor world champion Yomif Kejelcha. 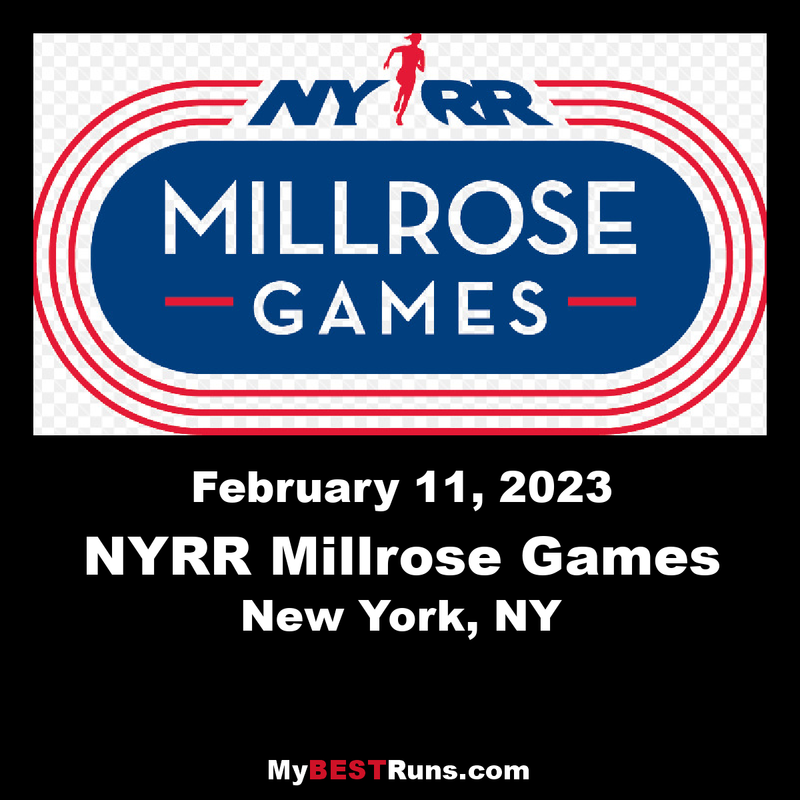 “We are delighted to welcome Colleen back to the NYRR Millrose Games after her sensational win last year,” said NYRR Millrose Games Meet Director Ray Flynn. Quigley, 26, won her first NYRR Wanamaker Mile in 2018, beating fellow U.S. Olympian Kate Grace by just three hundredths of a second in 4:30.05, and then returned to New York later in the year to finish second at the New Balance 5th Avenue Mile. She competed at the Rio 2016 Olympics, finishing eighth in the 3000-meter steeplechase, and the following summer she placed third in the event at the USATF Championships. Running is a major part of Judy Williams life. She moved to Florida in 1989 and has run in almost every Gasparilla Distance Classic race since. 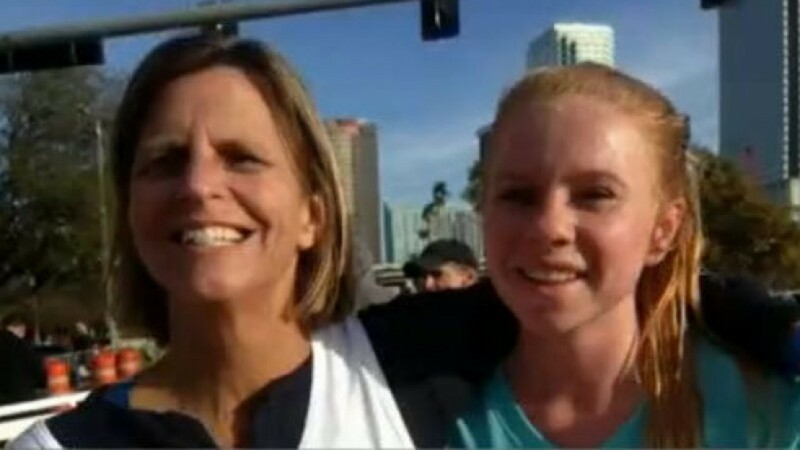 In 2015, she and her then 16-year-old daughter trained to run all four Gasparilla races, a total of 30-plus miles in two days. "That year I consider and credit Gasparilla for saving my life," said Williams. During the course of the weekend, Williams admits that she did not drink enough water to properly rehydrate after all those miles. "So that night, I would up in the hospital because I kept throwing up. I was dehydrated and could not stop throwing up no matter how much IV they were giving me," she recalls. In the hospital, the doctors performed a CT scan of her stomach, and that is when they found a cyst. That cyst turned out to be stage 2 ovarian cancer. Ovarian cancer is often called the "silent killer" because it does not have many symptoms until the later stages. Oftentimes when it's too late. Without that CT scan, Williams' cancer may have continued to grow. "I had lost my husband about a year and a half earlier, so my daughters were facing the fact that they might lose their second parent. It was just extraordinary that they found my cancer at stage 2," Williams said. Following the diagnosis, Williams had an operation to remove the cancer and spent 18 weeks in chemotherapy. 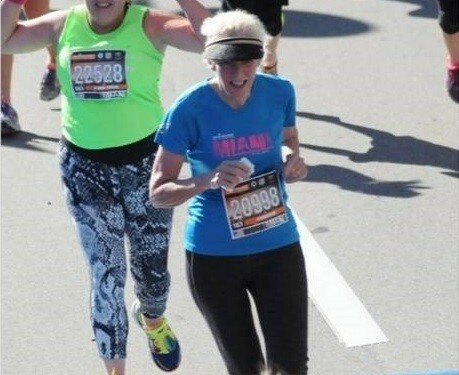 The following year in 2016, after the treatments, she and her daughter laced back up their shoes to run all four Gasparilla Distance Classic races again. "It was extremely emotional the year after I had the chemo and operation," she recalls. This year, Williams' daughter will come home from college to run the races again. They will line up for the 15K race Saturday and the half marathon on Sunday. 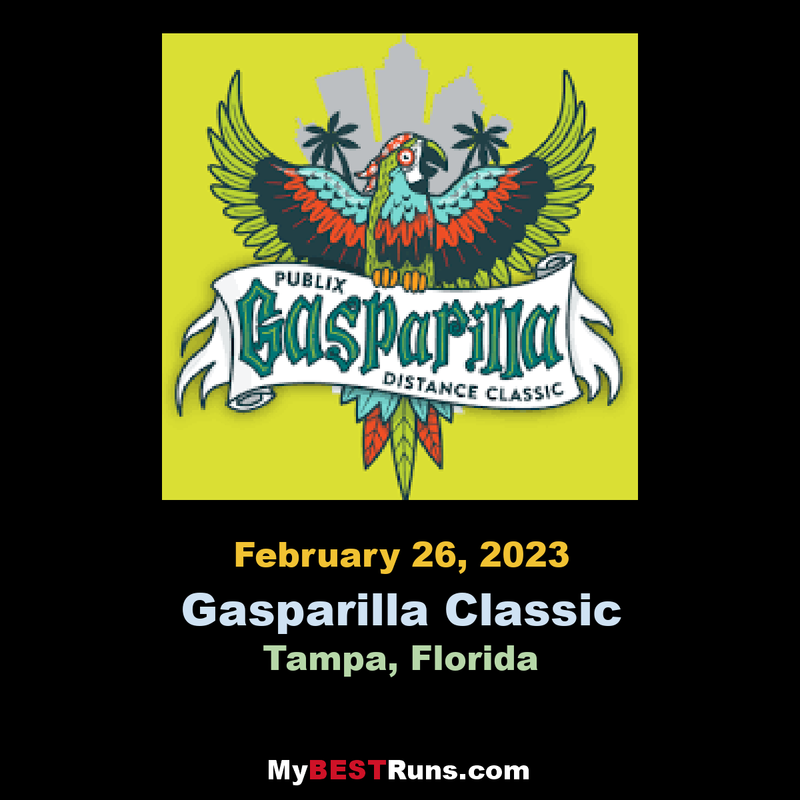 It is a new challenge from the Gasparilla Distance Classic called "Michelob Ultra Pure Gold Challenge." 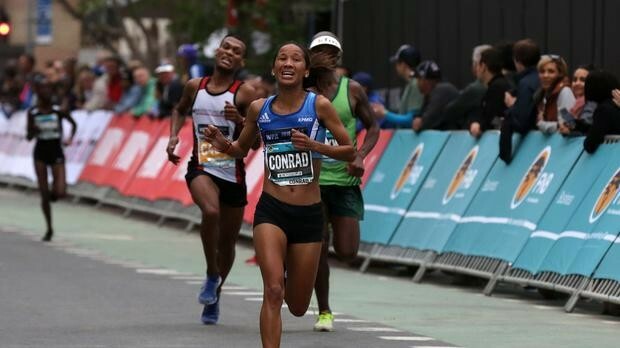 Nolene Conrad faces a defining moment in her impressive running career on Sunday when she lines up against some of the world’s best at the start of the Osaka Marathon in Japan. Japan is right up with Kenya and Ethiopia in women’s marathon running, boasting four athletes in Sunday’s race with marathon best times faster than two hours and 24 minutes. And with several top east Africans also in the mix, a top-15 finish in a personal best time would represent an outstanding result for Conrad. The diminutive athlete from Blue Downs has risen to the top echelon of South African distance running in recent years and led her compatriots home at last year’s world half marathon championships in Spain, where she earned IAAF gold label status for her top-25 position. But an elite standard marathon time still eludes Conrad, although her 2:34:39 at last year’s Cape Town Marathon came close. Her half marathon best of 1:11:44 suggests that a five-minute improvement, which will lift her into world-class sub-2:30 territory, may not be beyond her. “I’m definitely aiming for a big improvement on my best of 2:34:39 I achieved in last year’s Cape Town Marathon,” admitted Conrad. “My coach (Ernie Gruhn) believes that I can get close to 2:30. I was rather cautious at Cape Town, not wanting to risk anything. That earned me a solid performance, but perhaps not quite what I could have achieved. The women’s field at the Tokyo Marathon is led by Ethiopian Ruti Aga. She has a personal best of 2:18:34 and is joined by three other female athletes who have run better than 2:20. 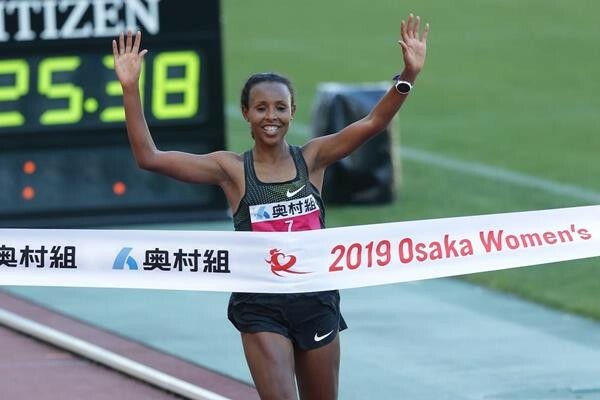 Aga ran her 2:18:34 PR when finishing second behind Kenya’s Gladys Cherono in Berlin last year and she’ll be joined in Tokyo by Kenya’s Florence Kiplagat (2:19:44 PR) and Ethiopians Boru Feyse Tadese (2:19:30 PR) and Yebrgual Melese (2:19:36 PR), plus world champion Rose Chelimo (2:22:51 PR) and Mimi Belete (2:22:29 PR) of Bahrain. Kenya’s Joan Chelimo (65:04 half-marathon PR) makes her marathon debut. Among the Japanese entries is Honami Maeda (2:23:48 PR), who was second in the Osaka Women’s Marathon last year and seventh in Berlin. Adam Gorlitsky believes that to continue inspiring others it’s important he consistently seeks inspiration of his own. That’s not always easy. Gorlitsky was left paralyzed from a car accident 12 years ago but has since emerged as a leader in the community of re-enabled athletes. He’s traveled nearly 800,000 steps in the past couple of years with the help of a ReWalk robotic exoskeleton while also establishing the non-profit, I Got Legs, to help others achieve similar re-enablement. Gorlitsky will head to Hollywood in March to attempt to become the first paralyzed man to walk the Los Angeles Marathon. The 32-year-old former Wando athlete is aiming to beat the benchmark of 36 hours and 37 minutes that Simon Kindleysides set in the London Marathon last April. But it isn’t as much about the final time as it is about continuing forward step by step. 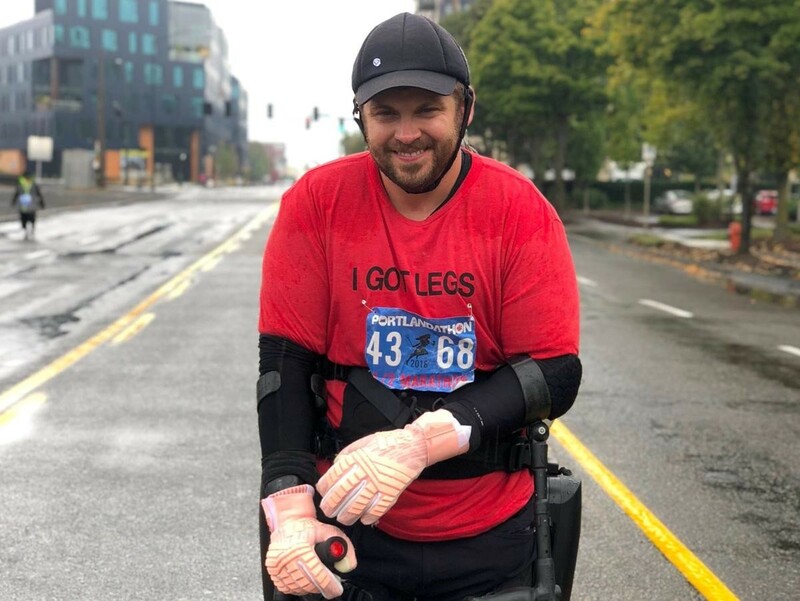 Gorlitsky will use the Los Angeles Marathon as a public launch for I Got Legs’ Give Back Fund, which is already raising money for others with similar disabilities who seek the kind of treatment and technology that he’s received. 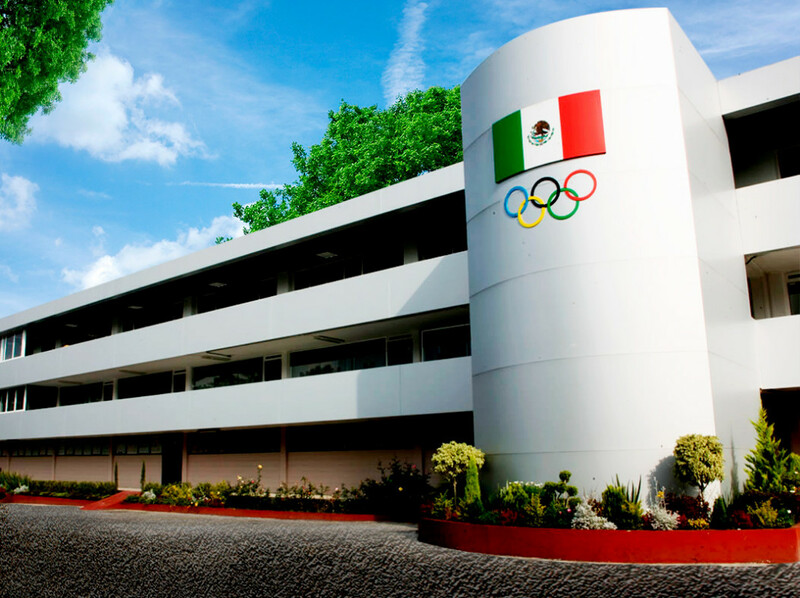 The Mexican Olympic Sports Center (CDOM) was selected to have an air quality monitor installed. 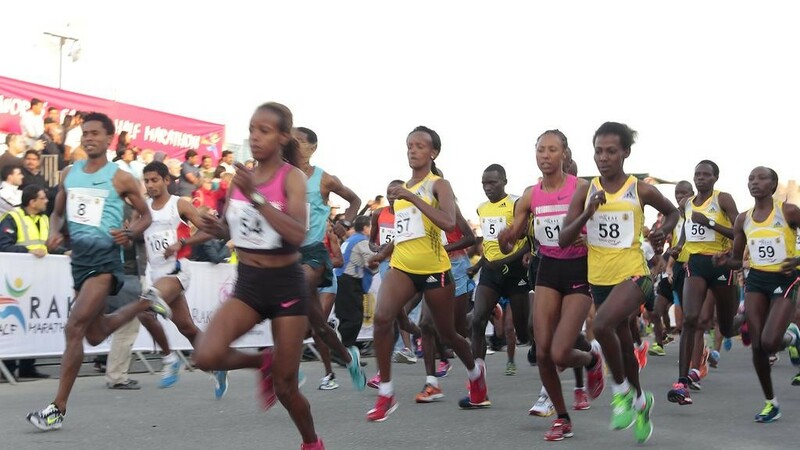 Ethiopia’s winning streak of the women’s race in Dubai goes back even further than the men’s as they have won the past 12 editions. 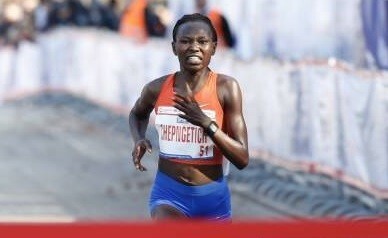 But that dominance will be under threat when Ruth Chepngetich toes the standing line Friday. 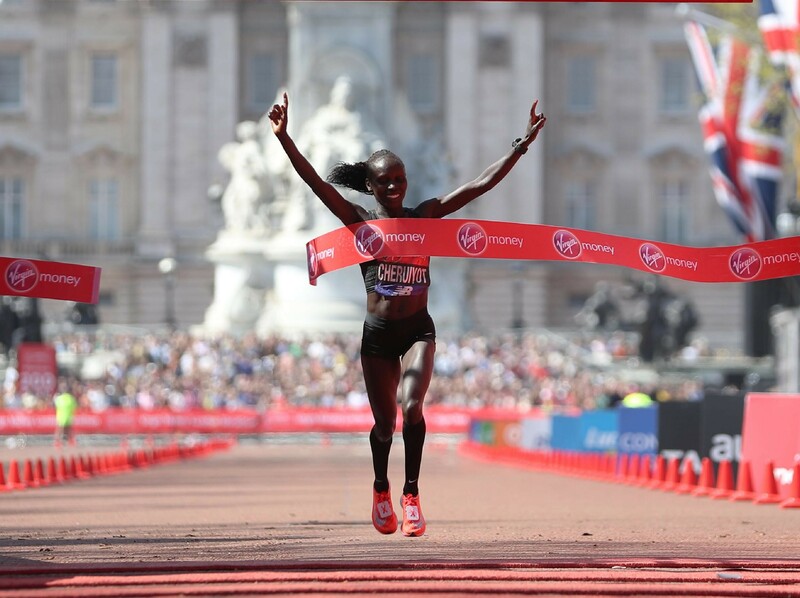 The Kenyan surprised the running world in November last year when she successfully defended her Istanbul Marathon title, smashing her PR by four minutes with 2:18:35 and moving to equal seventh on the world all-time list. But while Chepngetich boasts the fastest PR of the field, Worknesh Degefa is more experienced when it comes to Dubai. In fact, the Ethiopian has contested just two marathons to date, both of which were in Dubai. She won on her debut in 2017 in 2:22:36 and reduced her PR to 2:19:53 one year later to finish fourth in a high-quality race. “Last year saw new course records in both the men and women’s races, while we had seven men finish within 2:05 and four women within 2:20. Those were both unique results in marathon history and emphasised the depth of quality in the fields we put together in Dubai. Are you ready to go for the gold in 2020? 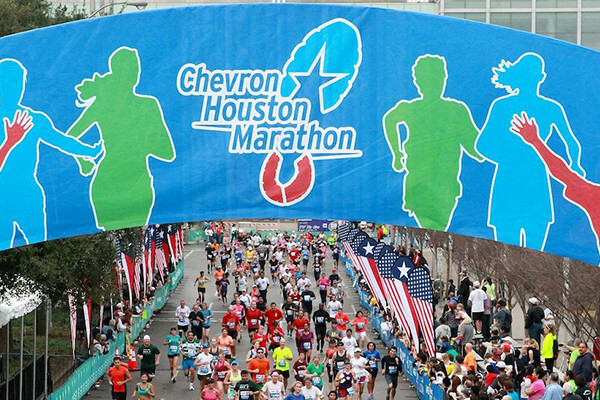 Early registration is now open for the Chevron Houston Marathon, the Aramco Half Marathon and the We Are Houston 5K! 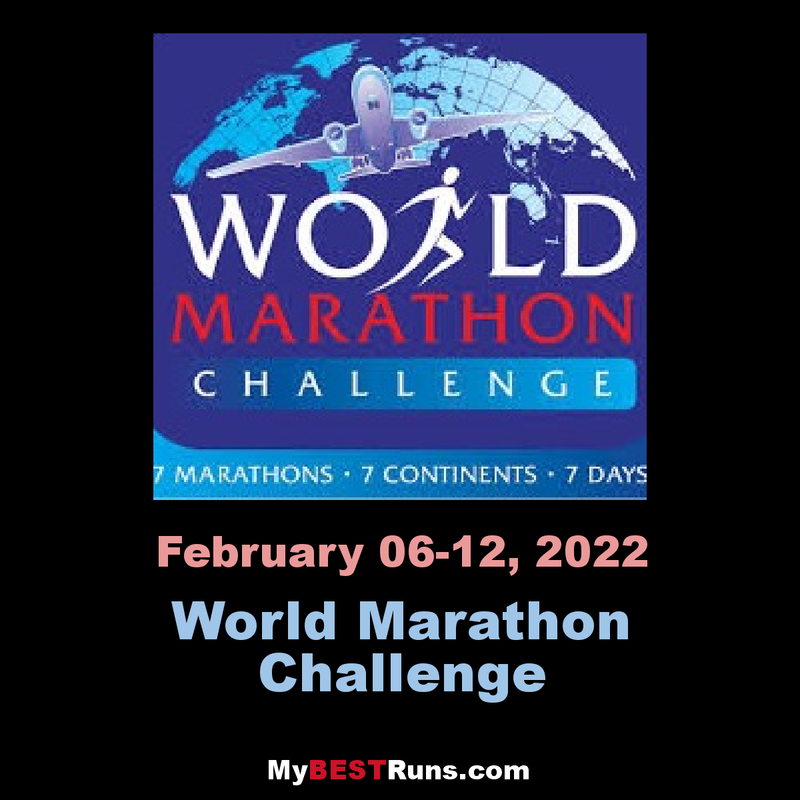 If you get your registration in before June 5, the full marathon will cost $140, and the half marathon will cost $125.If you're thinking of registering but haven't quite committed, decide quickly -- the full and half marathons are each capped at 27,000 participants. The 2020 We Are Houston 5K has a cap of 6,000 participants.Another option to consider is the Run For a Reason program. 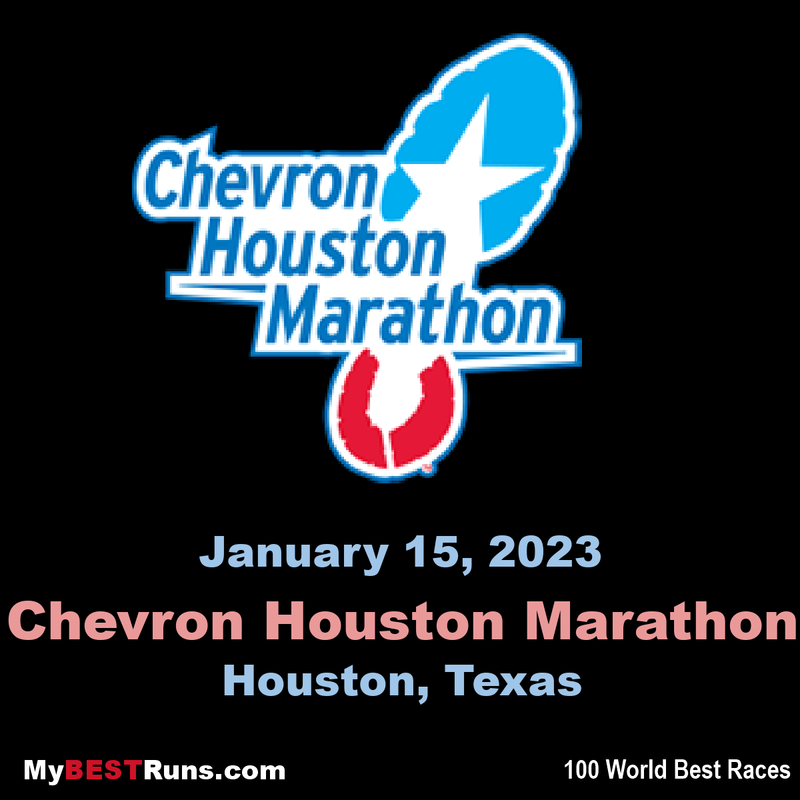 HERO entries are guaranteed registrations into the Chevron Houston Marathon or Aramco Houston Half Marathon by making a one-time tax-deductible donation of at least $350 to an official Run for a Reason charity, plus the cost of registration. 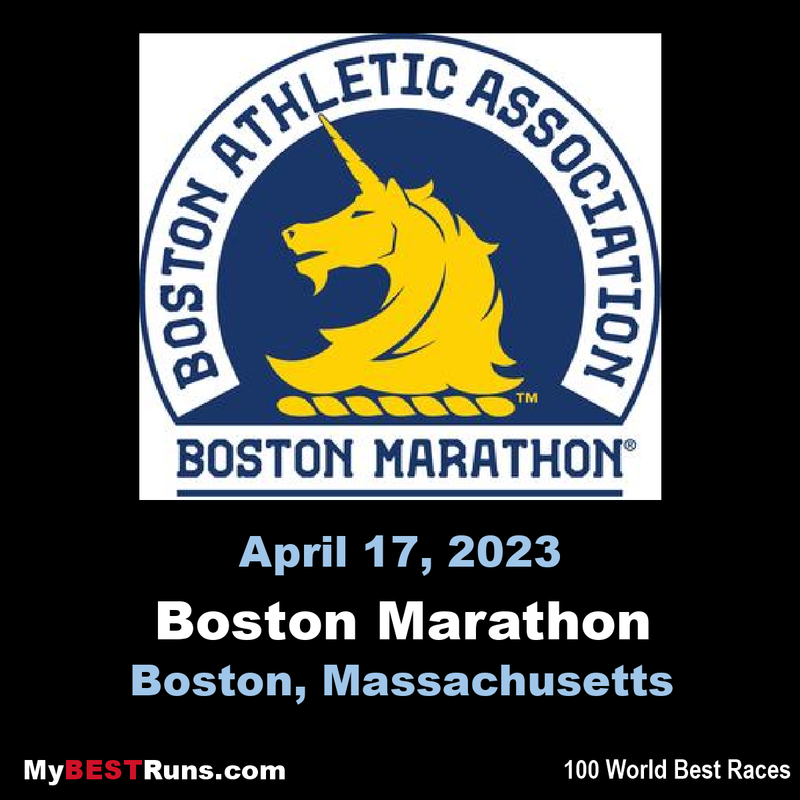 Marathon participants must be at least 12 years old by race day. 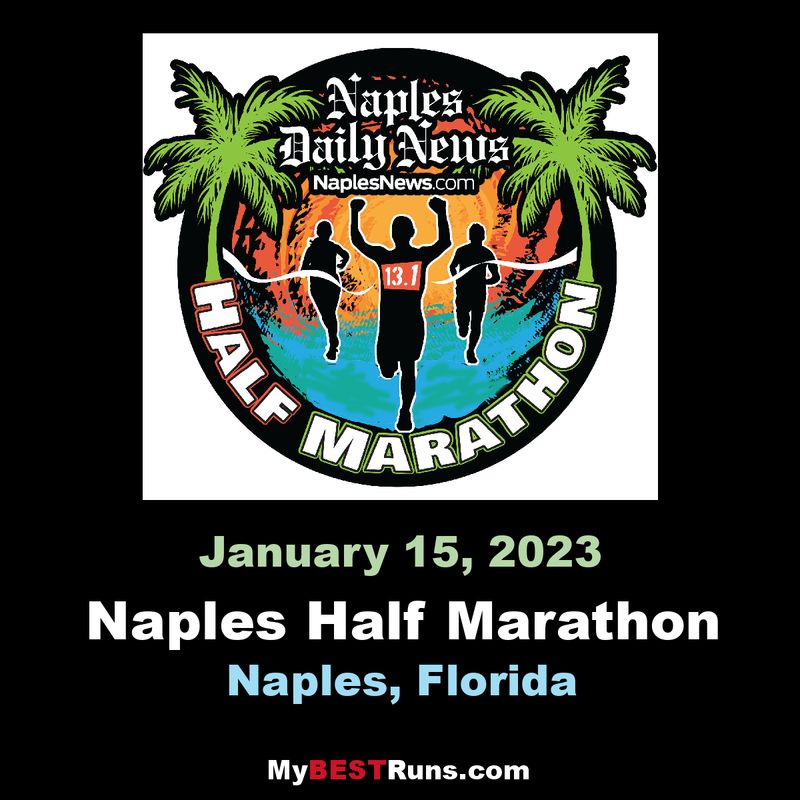 Half marathon and 5K runners must be at least 7 years old. 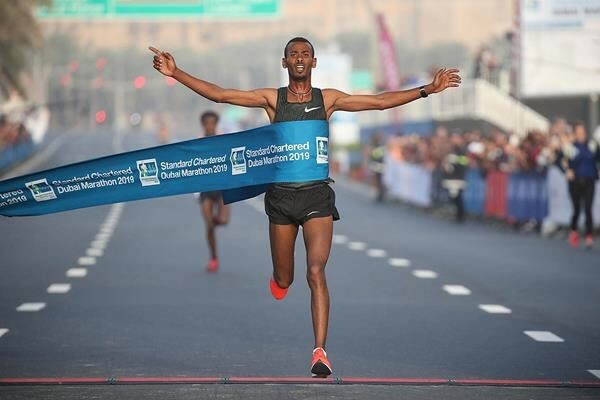 Switzerland’s Tadesse Abraham has his sights set on going after the European marathon record at the 2019 Standard Chartered Dubai Marathon on Friday (January 25). Despite Farah cutting the European Record to 2:05:11 at the Chicago Marathon just three months ago, Eritrean-born Abraham is gearing up for a full-on assault on the time when he makes his debut appearance at the Middle East’s only IAAF Gold Label Marathon. Since then he was won gold at the 2016 European Half Marathon Championships and finished fourth at the 2016 Seoul Marathon where he set his current personal best of 2:06:40. Breaking Farah’s European Record would mean shaving more than a minute off his own PB but it has always been a personal goal and Abraham is focused on giving it his best over Dubai’s notoriously flat and fast route. 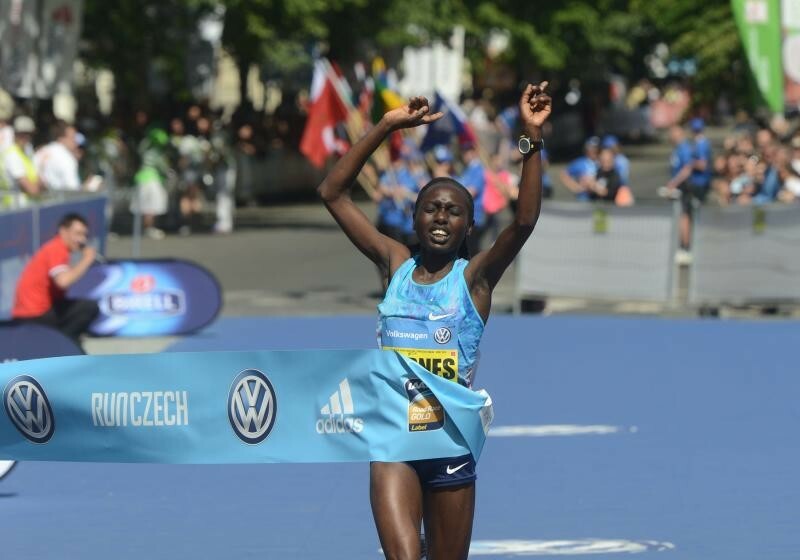 Jepkirui ran a well calculated first half of the race to take leadership from Amane Gobena of Ethiopia, who had crossed the 25km marker in 1:24.40 in Prague, clocking 2:24:19. 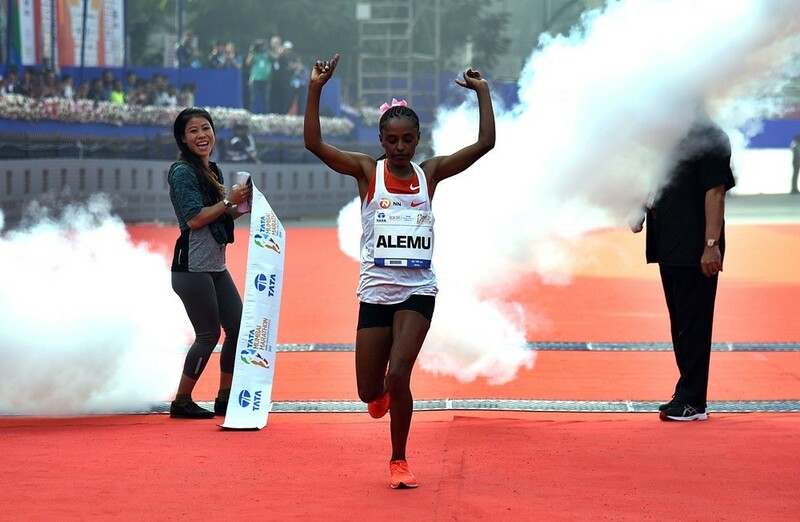 She crossed the finish line ahead of Ethiopians Belaynesh Oljira (2:25:13) and Amane Gobena, who finished third in 2:27:43. 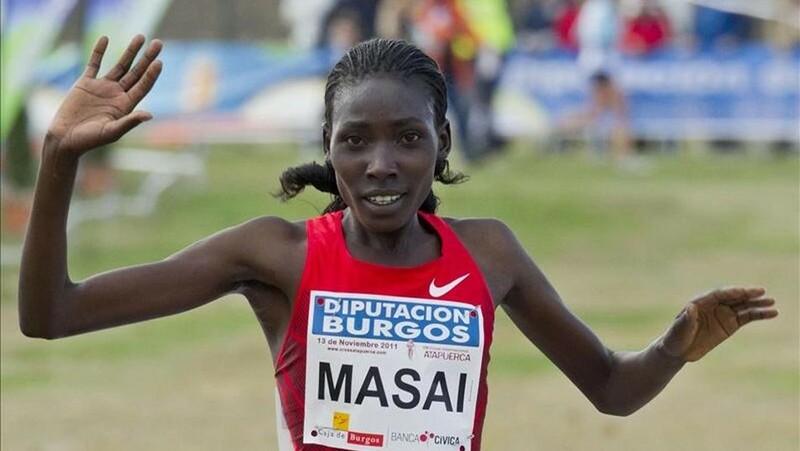 Jepkirui will be running alongside her compatriot Eunice Jeptoo. Last year’s Osaka Marathon was dominated by Japanese women, with Mizuki Matsuda taking the title and Honami Maeda and Yuko Ando coming in second and third respectively. Jeptoo, the defending champion of the Eindhoven Marathon in Netherlands, will be the athlete to beat at the Osaka Women’s Marathon, having clocked 2:26:13 in October in her win at the Eindhoven Marathon. 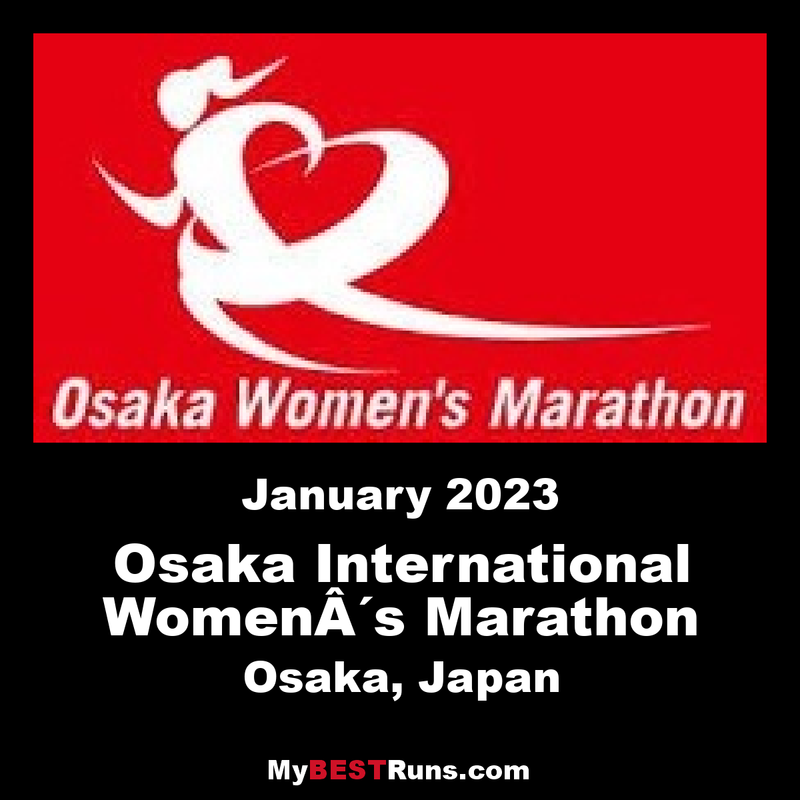 The 2019 Osaka race is also part of Japan’s Marathon Grand Championship series, a group of qualifying races for the 2020 Tokyo Olympic marathon team trial race. There will also be Izabela Trzaskalska of Poland, who has a marathon best of 2:29:56. Japanese athletes are led by Nagoya marathon silver medalist Yuko Ando (2:21:36), Honami Maeda and Mizuki Matsuda. Rice finished in 1:38:41.9, missing the record by 1 minute and 3 seconds. However, her mark set the American record for the half marathon 70 plus. In the week leading up to the race, the forecast called for temperatures in the 50s – perfect for running. But with the temperature around 67 degrees Sunday morning, Rice knew it was too warm for her to go too fast. The national record Rice broke technically was her own. When she set the marathon record in October, USA Track and Field used her time at the 13.1-mile mark of the race as the new record. 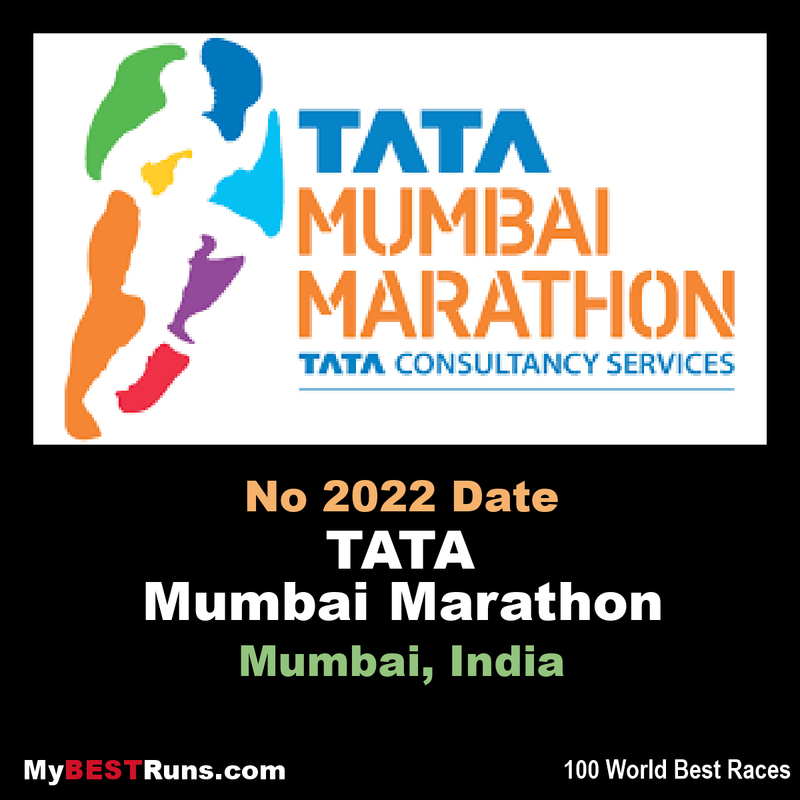 Cosmas Lagat of Kenya and Worknesh Alemu of Ethiopia surprised pre-race favorites to win the men’s and women’s crowns respectively in the Tata Mumbai Marathon Sunday (Jan 20). They shared in the $405,000US of prize money. The course record of 2:08:35, made in 2016, just barely survived as the long-legged Lagat’s onslaught after he left behind all his rivals. In second place was Aychew Bantie of Ethiopia in 2:10:05 and Akalnew Shumet, also from Ethiopia, took the third spot in 2:10:14. The man with the best time going into the race, Kuma, finished seventh in 2:13:10 after he was with the lead bunch of 10 runners, including some pacers, on the sea link after 19k before the bunch split up. The women’s race Ethiopian Alemu took charge with 12k left in the race. 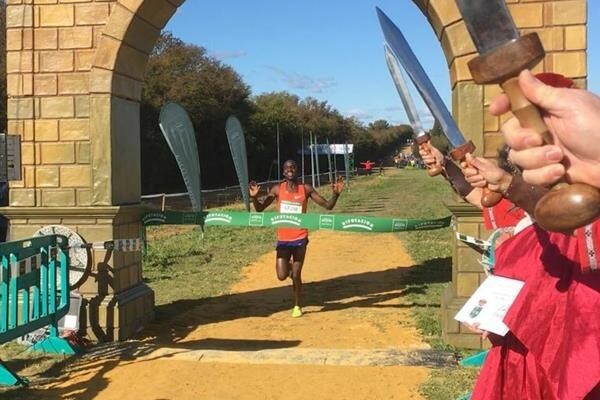 Uganda’s teen phenomenon Jacob Kiplimo and Kenya’s world steeplechase record holder Beatrice Chepkoech captured commanding victories at the Cross Internacional de Itálica in Santiponce. Held on a pleasant and dry afternoon with the temperature about 66F (19C), the men’s 9.9km event didn’t kick off particularly fast as a large pack covered the opening two kilometers in 5:50, led by Bahrain’s Albert Rop while the main favorites ran conservatively in these early stages. The following 1.95km circuit took a faster 5:38 with eight men still in the heading group which included Rop, the Ugandan trio of Kiplimo, world 10,000m silver medallist Joshua Cheptegei and Mande Bushendich, Kenya’s Vincent Rono, Morocco’s world steeplechase silver medalist Soufiane El Bakkali and the Spanish pair of Toni Abadía and David Palacio who were fresh from respective performances of 7:47:60 an 7:54:33 over 3000m indoors last Friday in Valencia. Morocco’s 2012 Olympic 1500m bronze medalist Abdelaati Iguider dropped out during the second lap. Defending champion Cheptegei, who was aiming to match his fellow Ugandan Matthew Kisorio’s achievement of back-to-back titles (2008 and 2009) could only stay with Kiplimo for four minutes as his younger compatriot unleashed a devastating kick with the clock reading 22:10 to open a sizable margin on him already inside the closing lap. To the astonishment of the assembled crowd, Kiplimo effectively ended the race in a matter of seconds as Cheptegi proved to be unable to follow in his footsteps. Guye Adola made his debut with timing of 2:03:46 when finishing runner-up behind world record holder Eliud Kipchoge at the 2017 Berlin Marathon. This remains the seventh fastest of all time over the classic 42.195km distance and makes him the fastest man in the elite field. The 28-year-old Marathon Newcomer of the Year in 2017 was leading in Berlin until around the 40km before Kenya’s Olympic Champion Kipchoge finally managed to overhaul him and win by just 14 seconds. 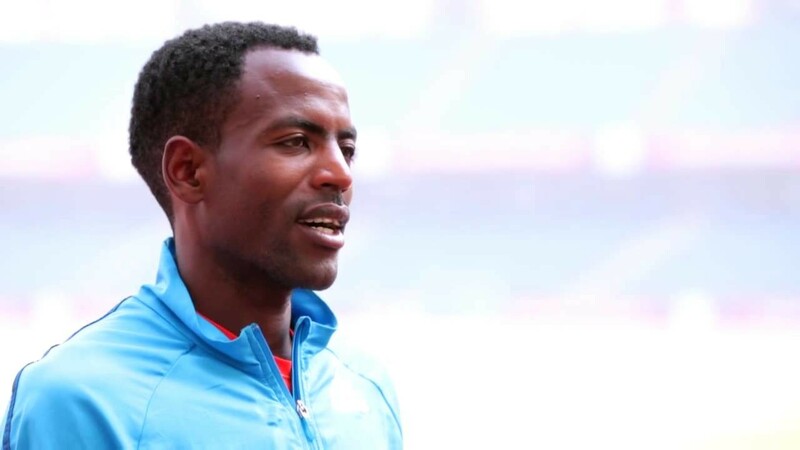 Adola’s debut timing makes him the second fastest Ethiopian marathon runner of all time behind Kenenisa Bekele and ahead of former world record-holder and three-time Standard Chartered Dubai Marathon winner Haile Gebrselassie. 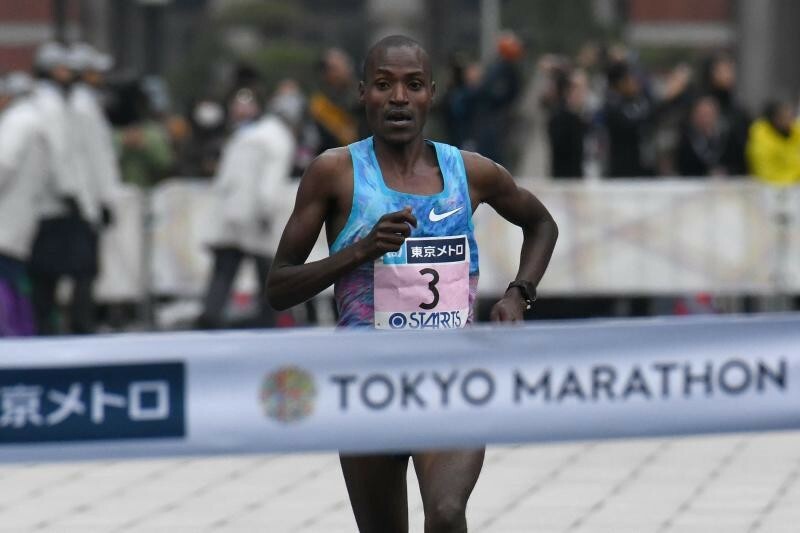 “I really enjoyed everything about my marathon debut until the last few kilometers,” said Adola, who will make his third start at the marathon distance in Dubai after withdrawing from the 2018 Frankfurt Marathon due to illness in October. In 2014, he established a 59:06 course record and personal best at the New Delhi Half Marathon. In the same year he won a bronze medal at the World Half Marathon Championships. “Adola certainly made a name for himself in Berlin in 2017, but injury and illness have contrived to prevent him from making further inroads in the sport,” said event director Peter Connerton. “Our event has a reputation for producing fast times and this could well be the opportunity and the venue Adola needs to re-establish himself among the world’s best,” he added. Emily Sisson became the second fastest half marathon American woman in history today in Houston. 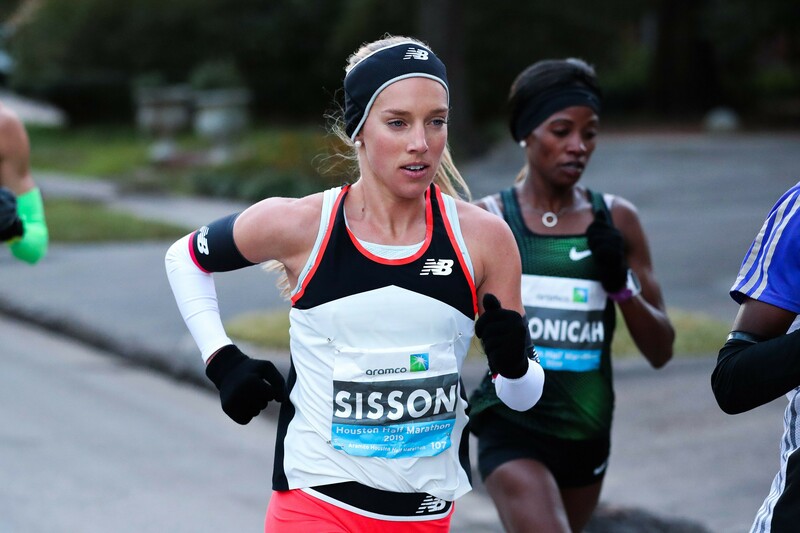 Just two days after announcing her plans to debut at the London Marathon, Sisson finished fifth overall in a time of 1:07:30 at the 2019 Houston Half Marathon. Her performance on Sunday was just five seconds shy of the American record of 1:07:25 set by her mentor Molly Huddle in Houston last year. Track & Field superstars Aisha Praught-Leer and Emma Coburn, who last year thrilled track & field fans with a memorable photo finish, will reunite in the Women’s 3,000m during the 112th NYRR Millrose Games on Saturday, February 9th at The Armory in Washington Heights, confirmed the Armory Foundation.